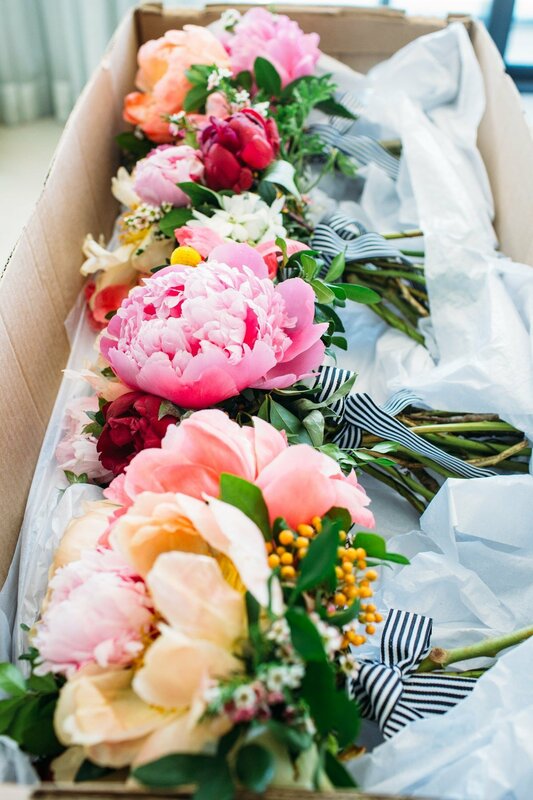 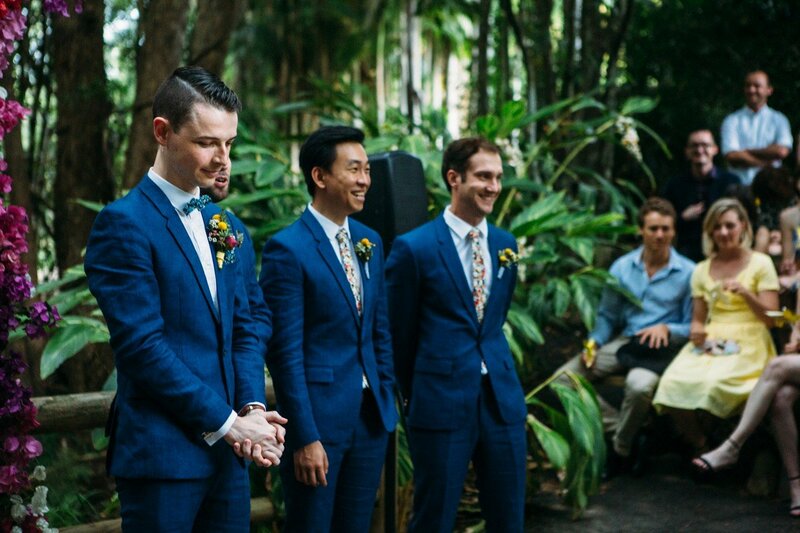 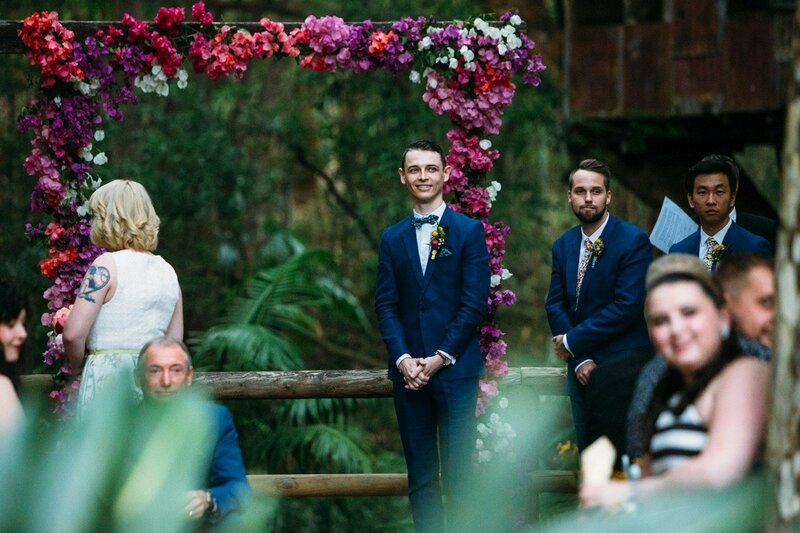 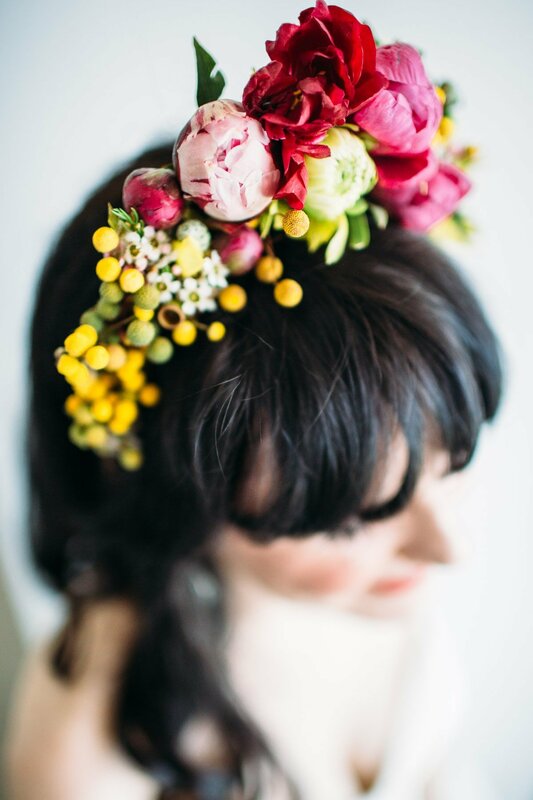 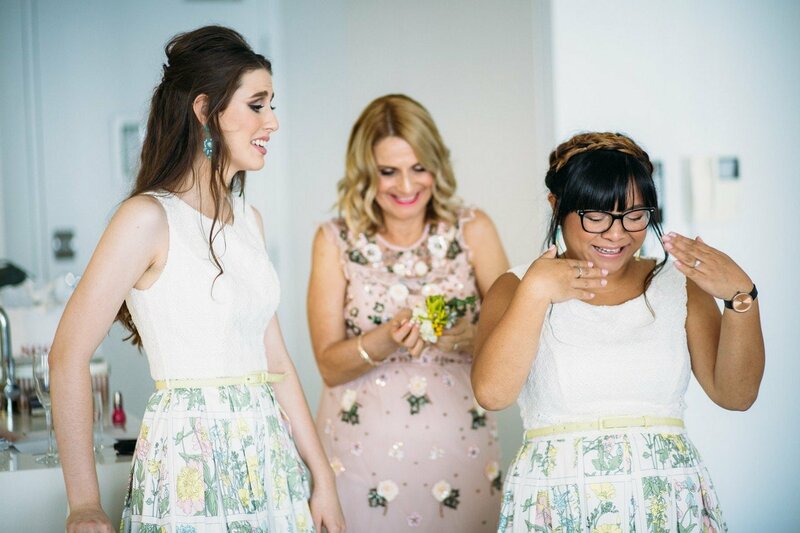 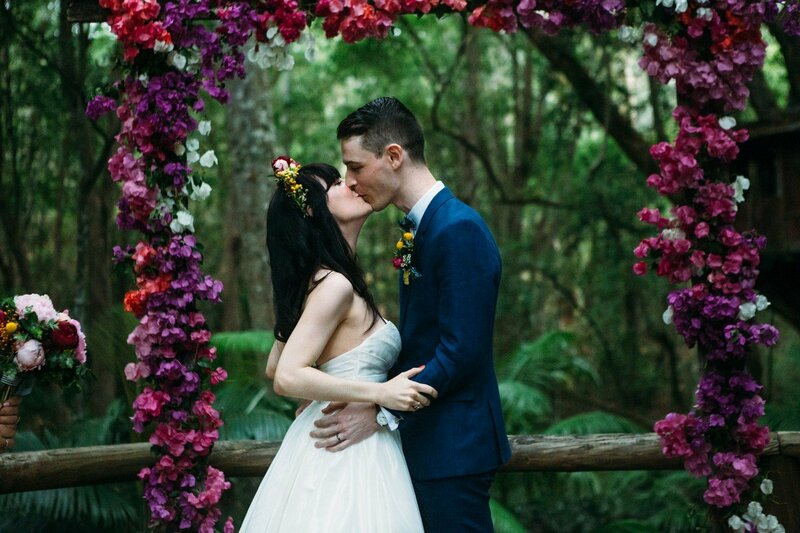 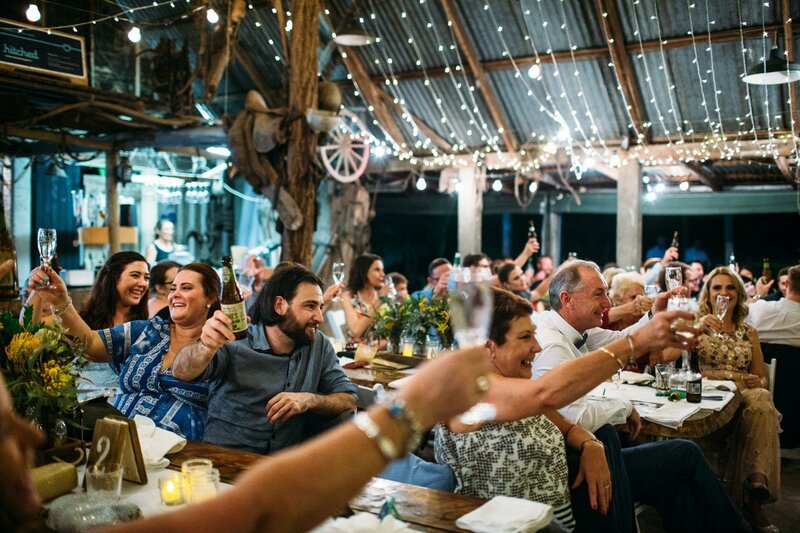 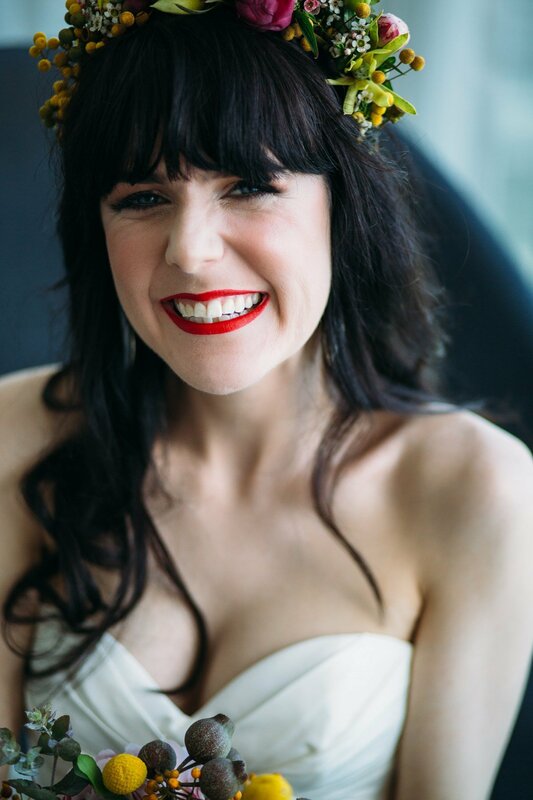 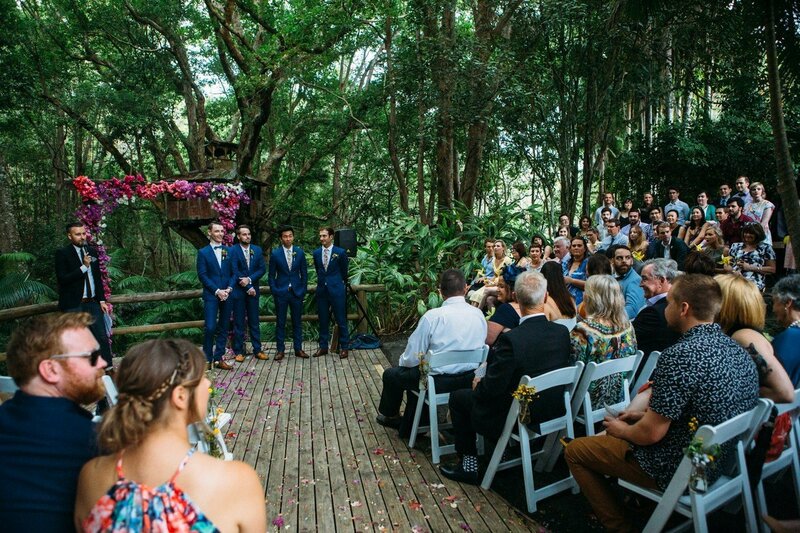 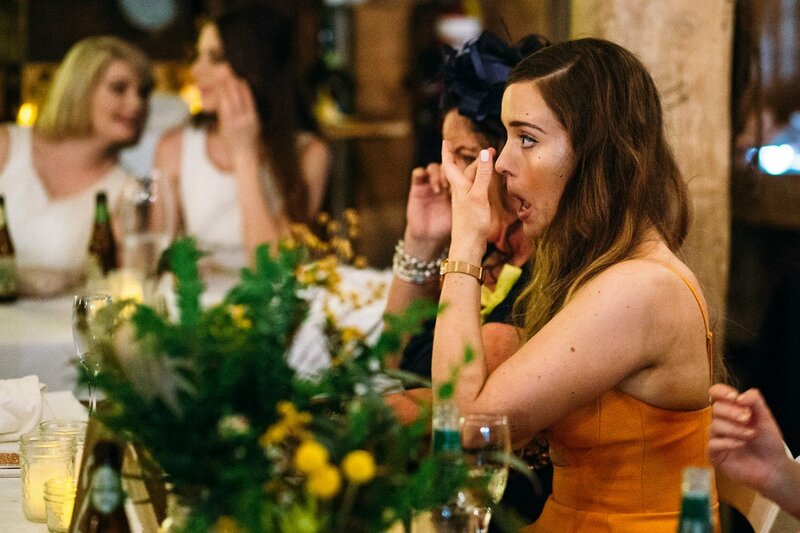 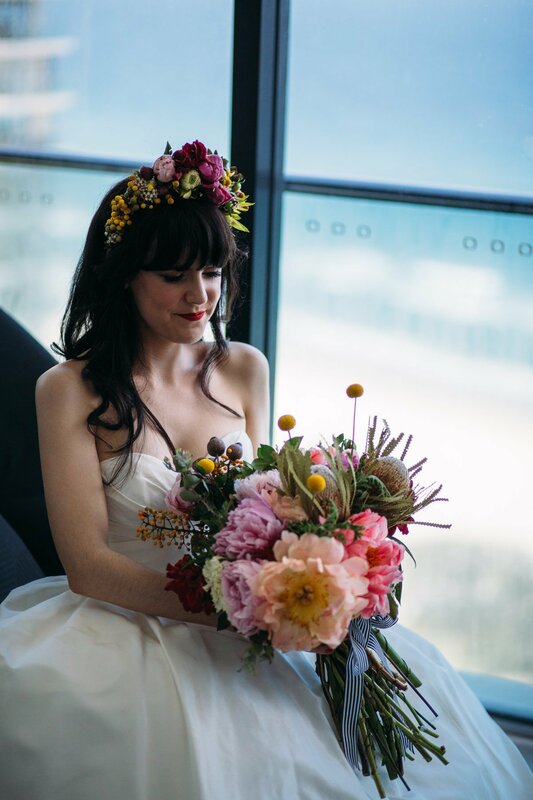 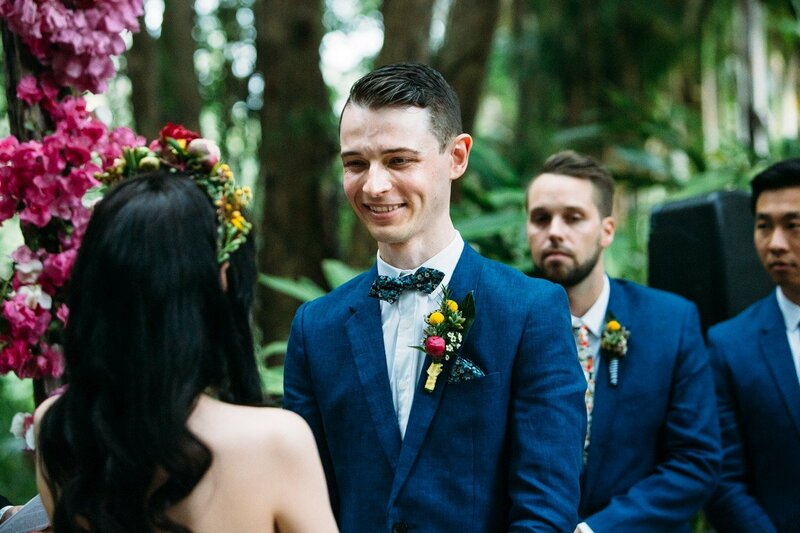 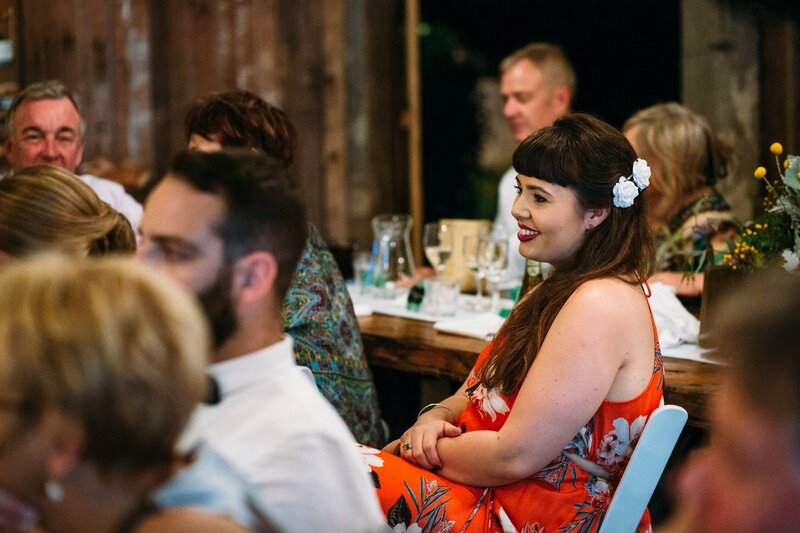 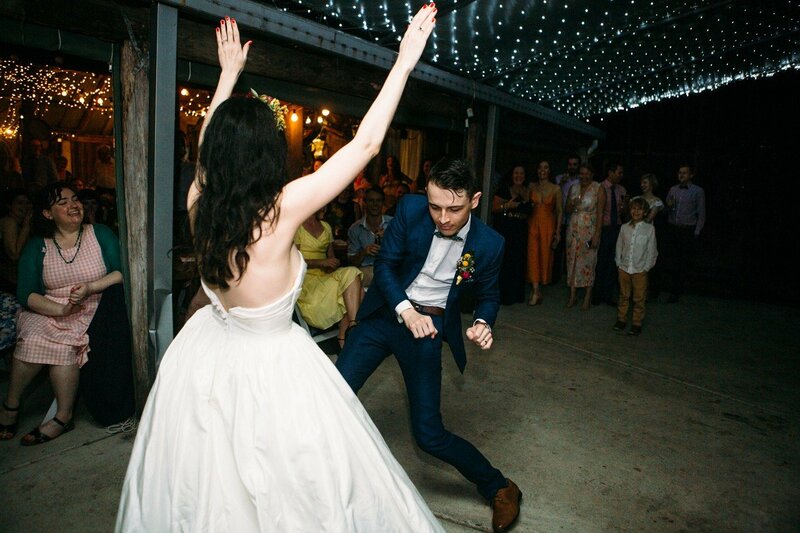 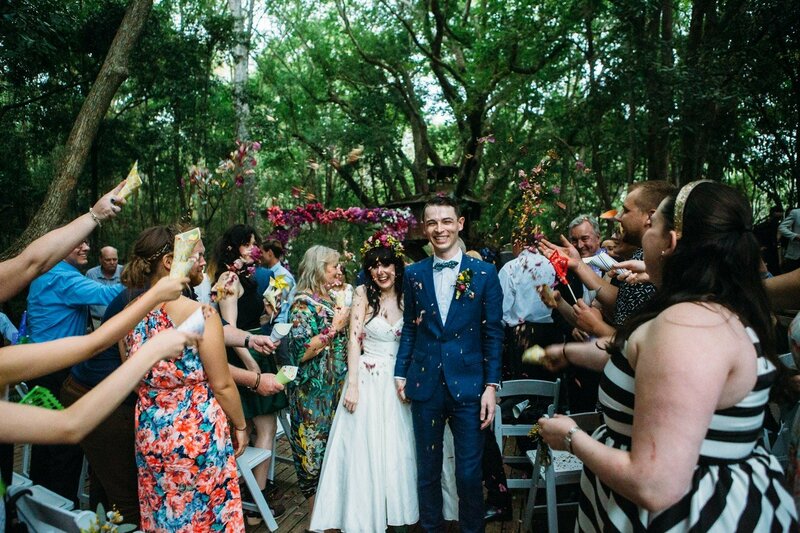 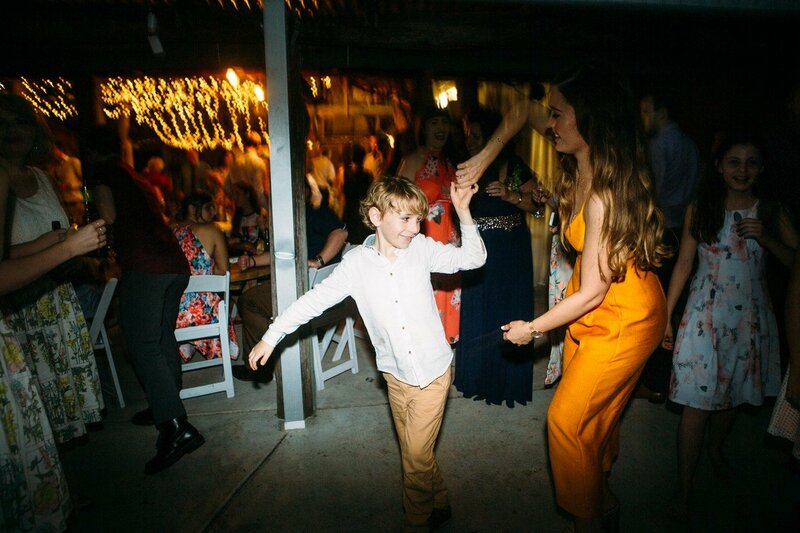 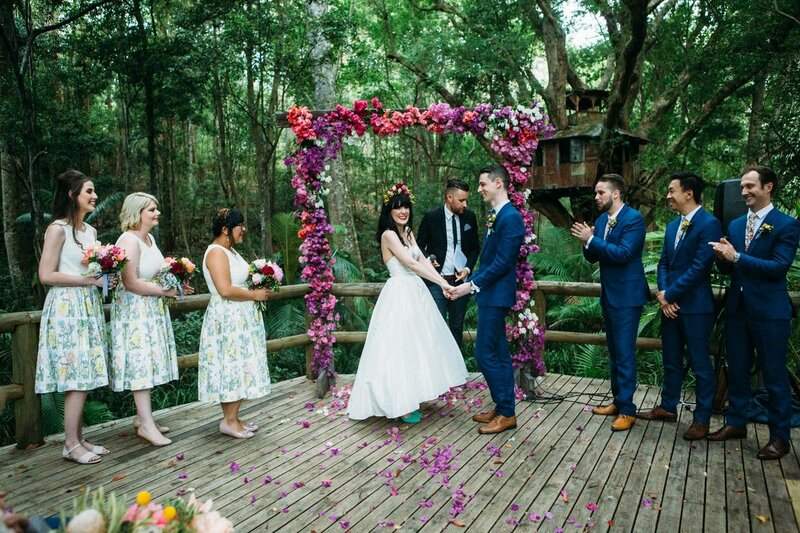 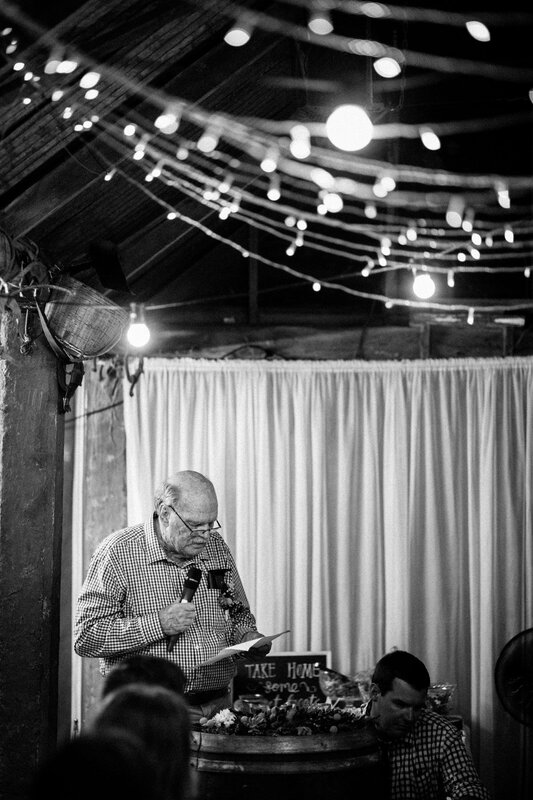 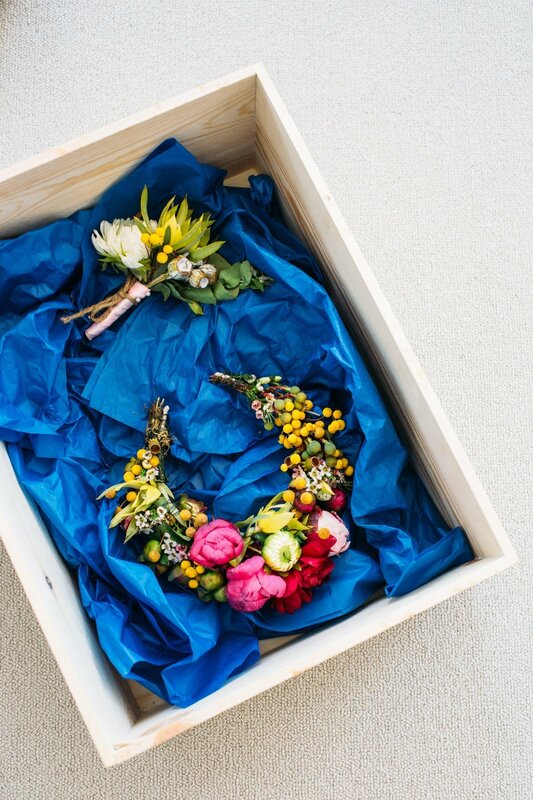 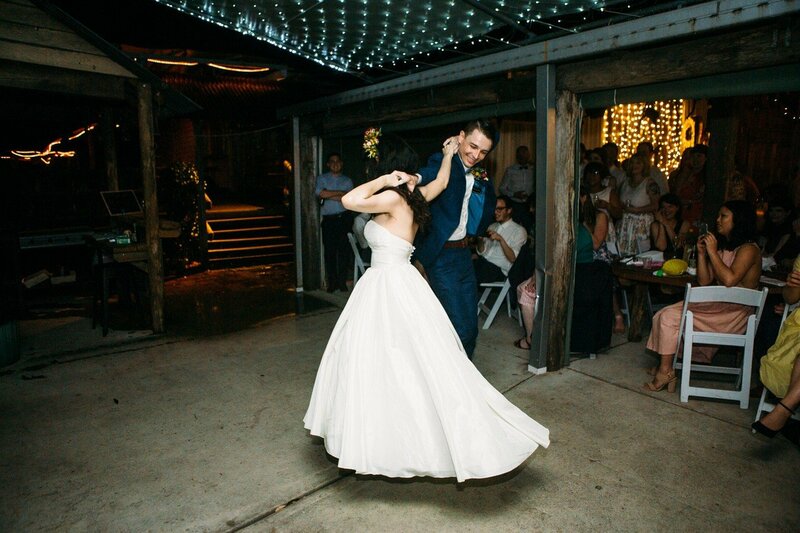 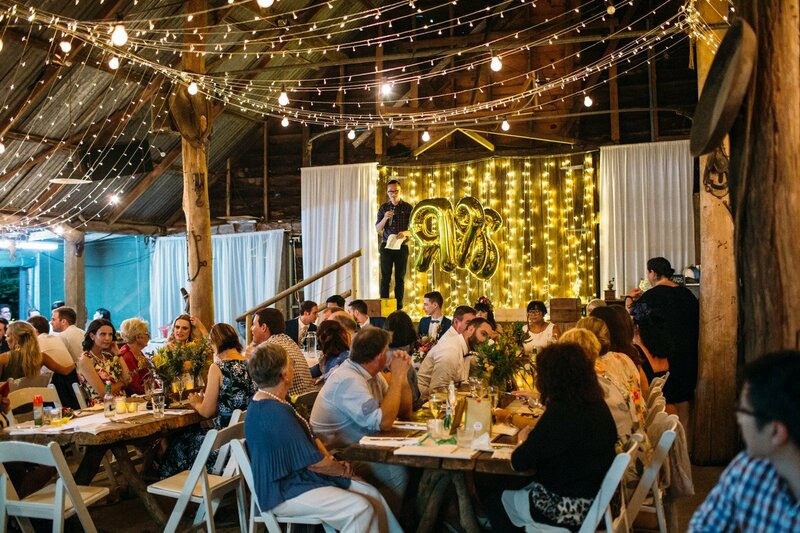 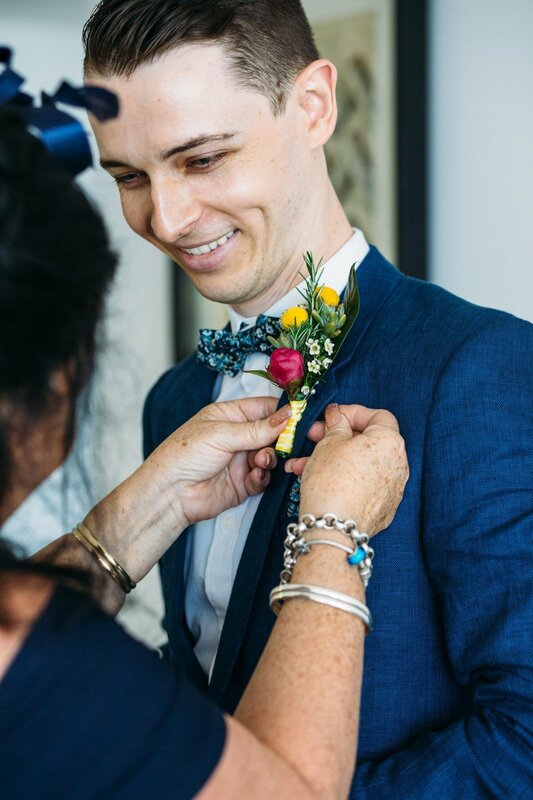 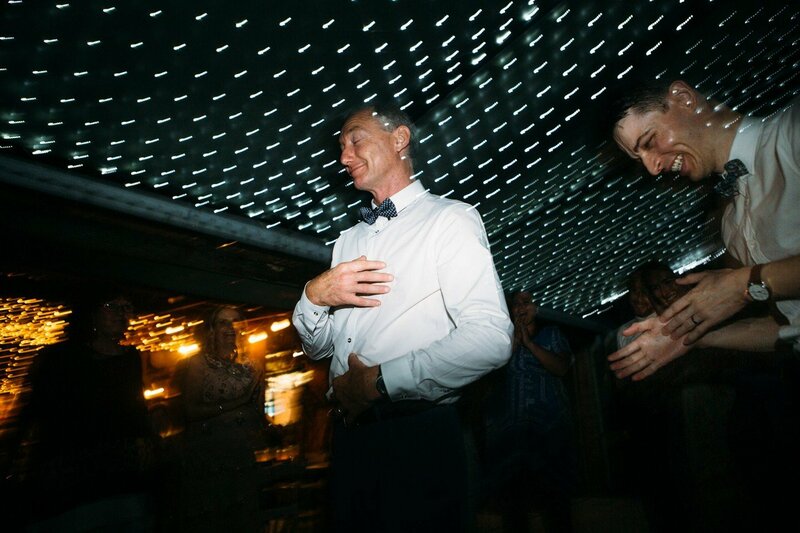 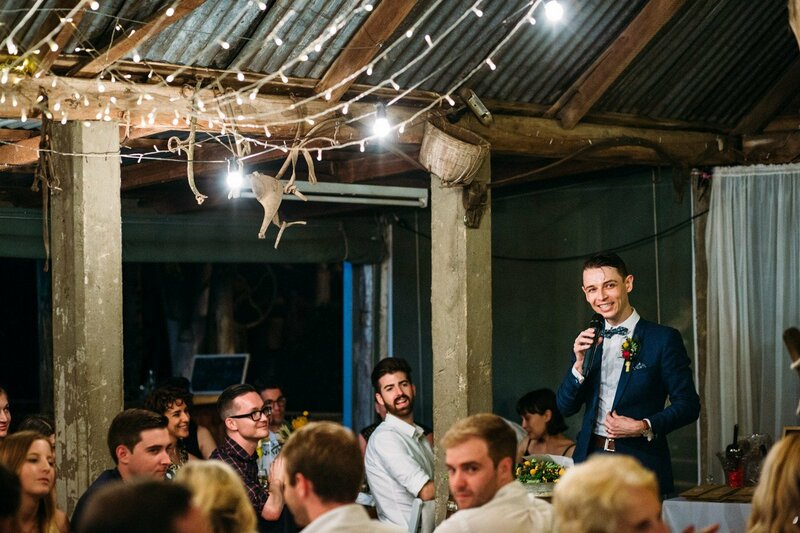 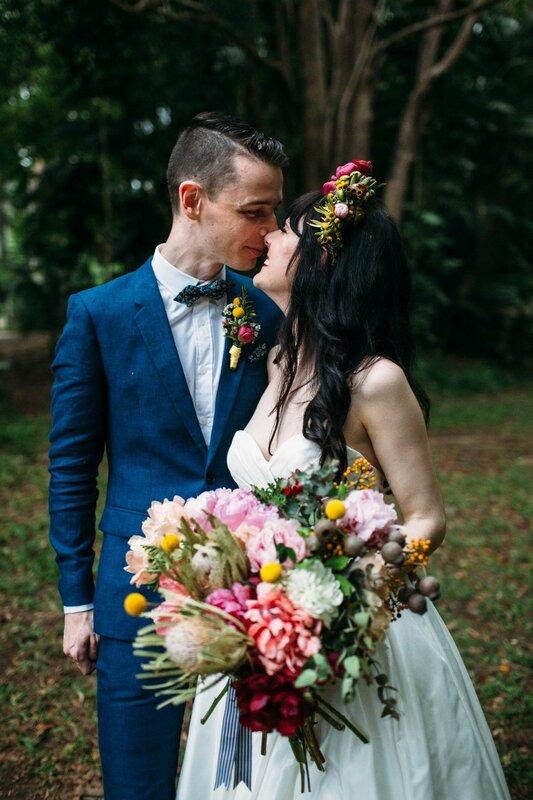 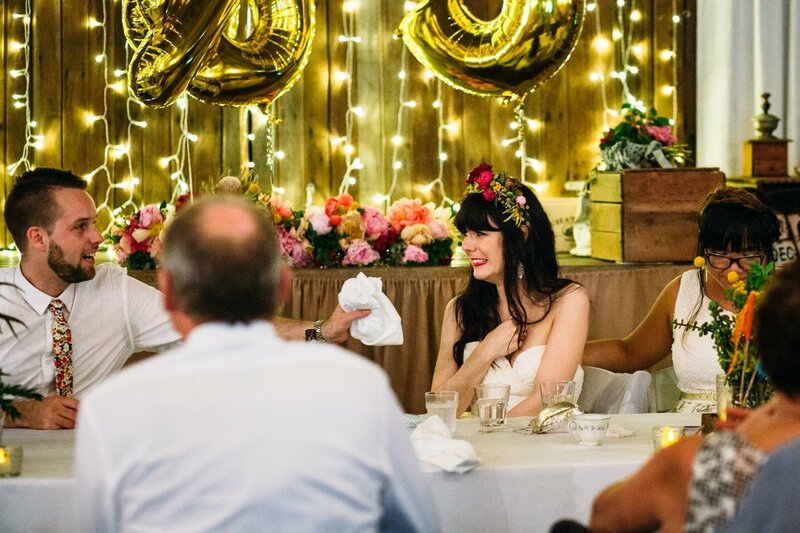 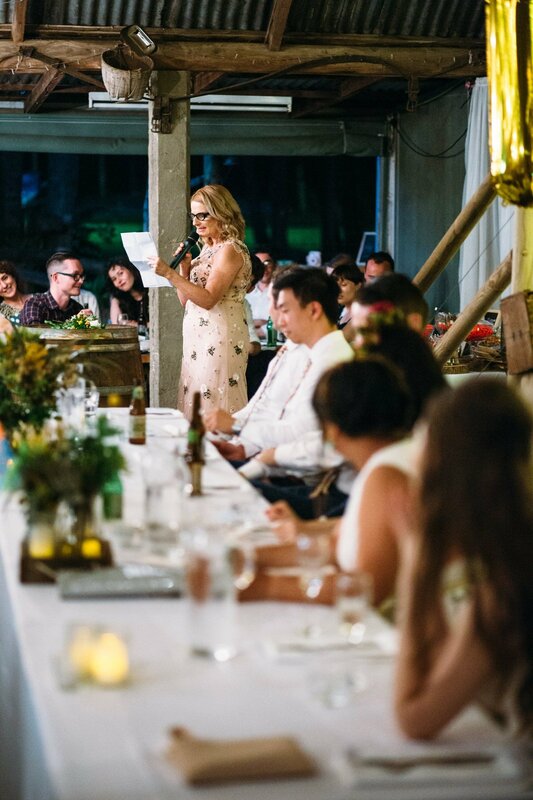 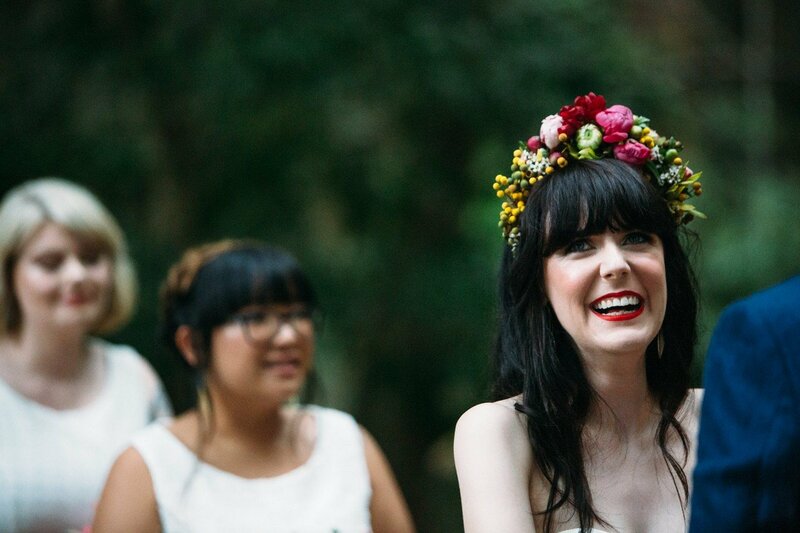 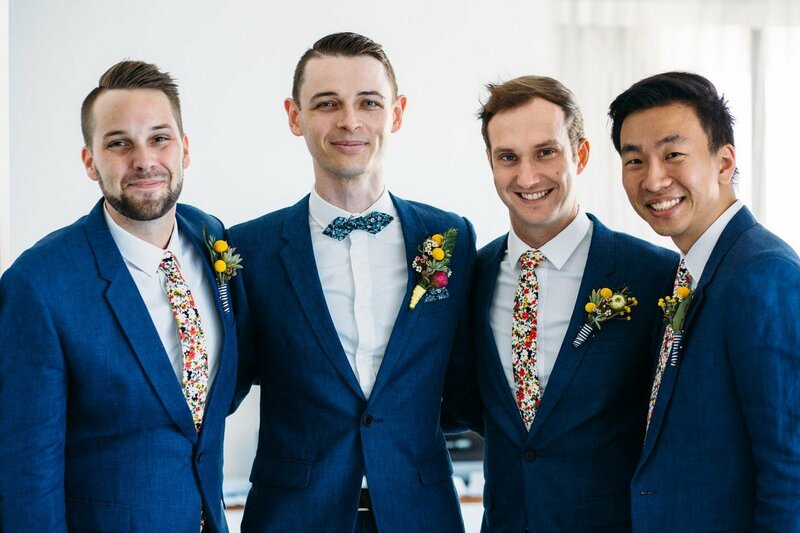 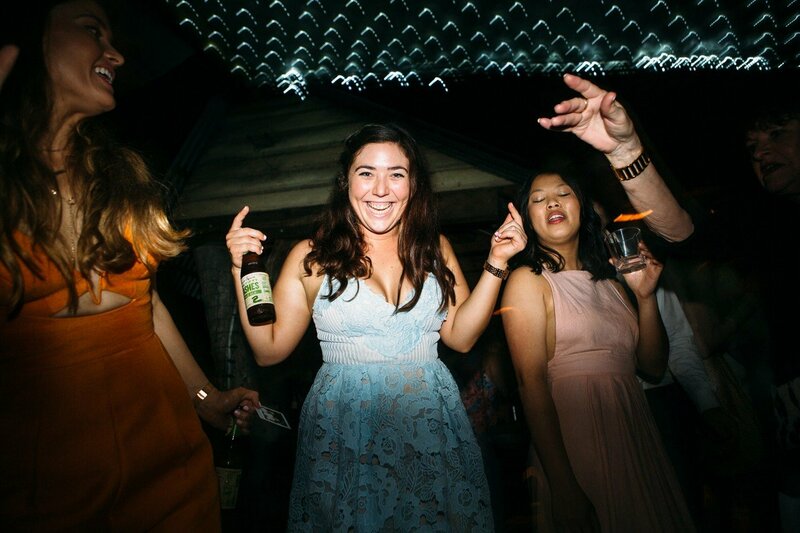 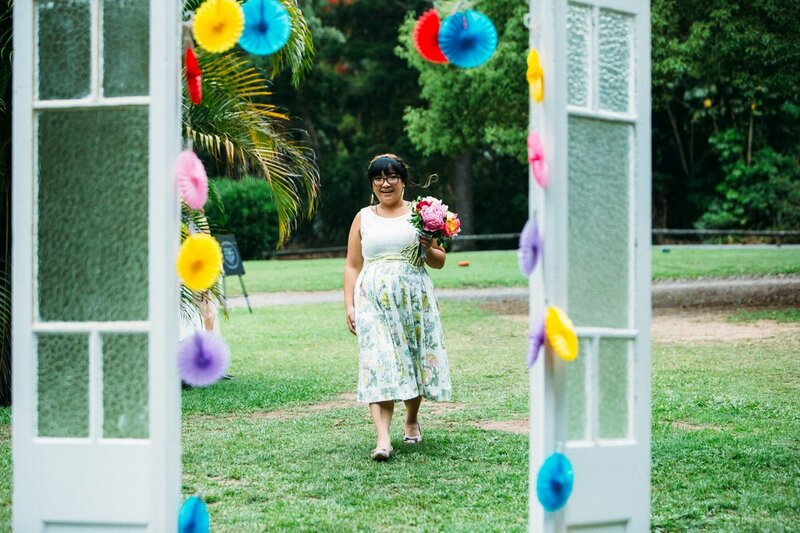 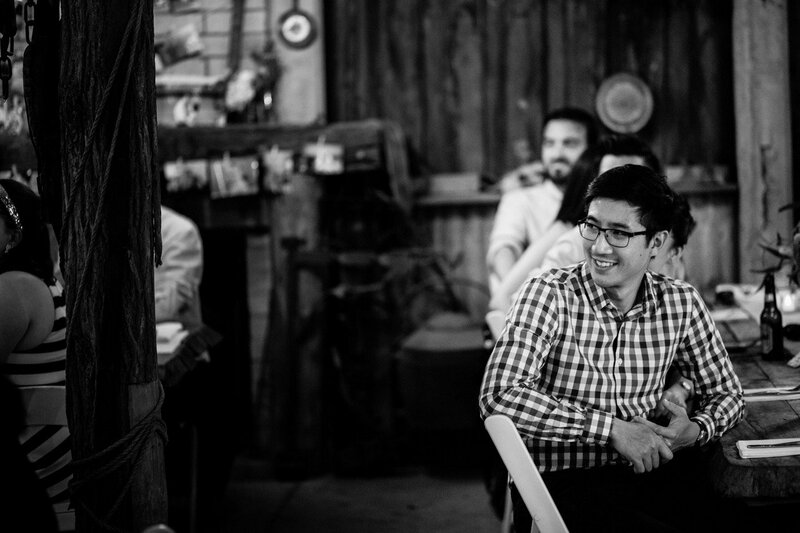 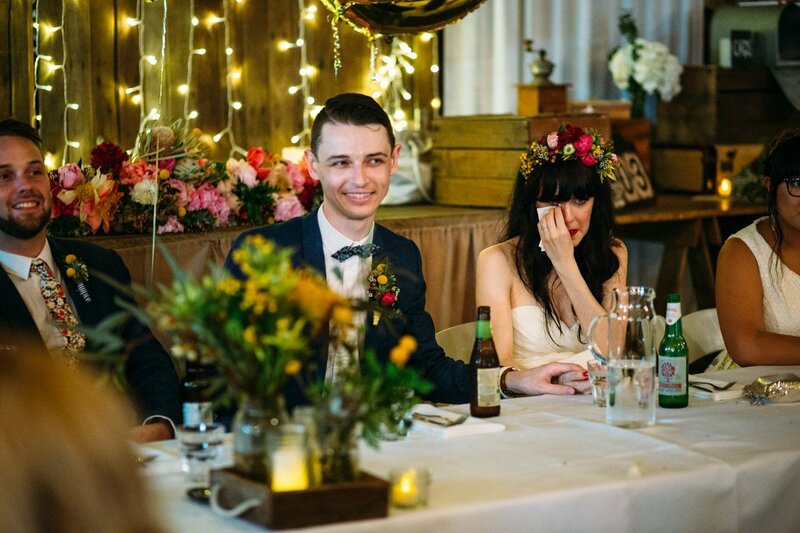 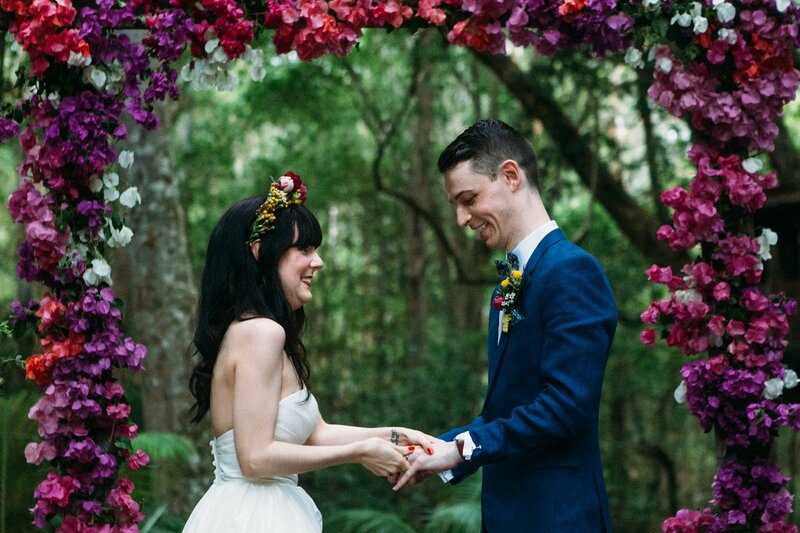 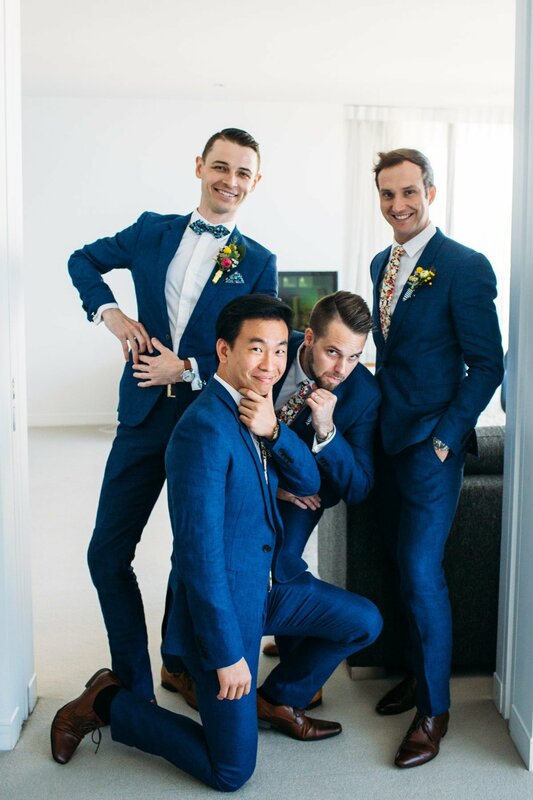 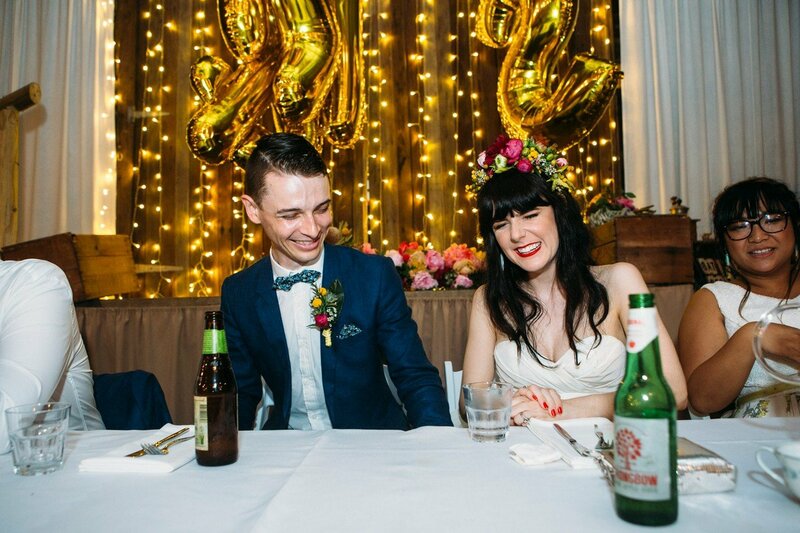 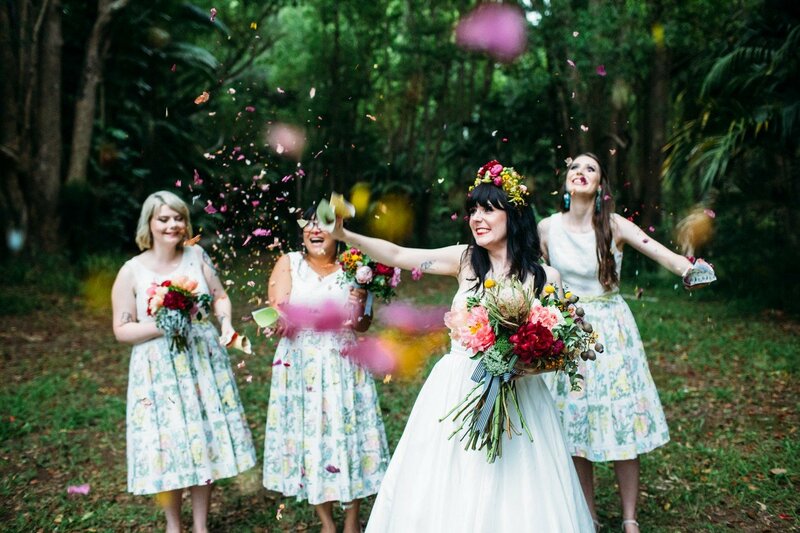 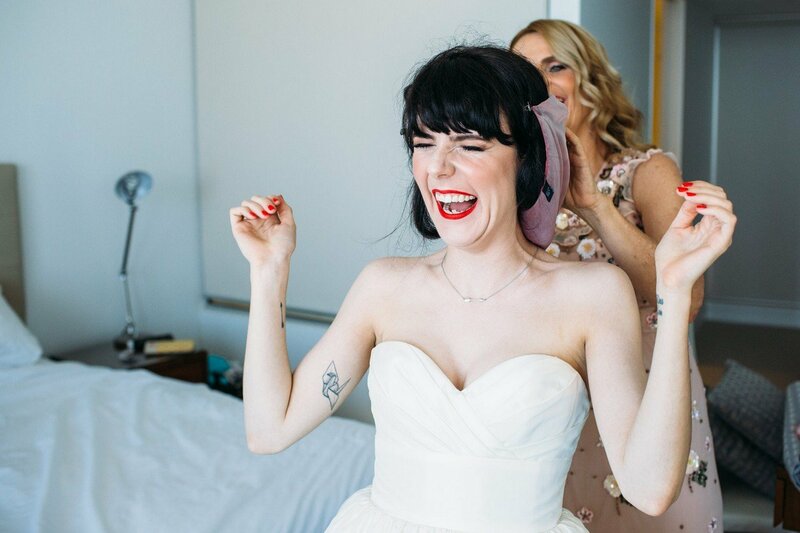 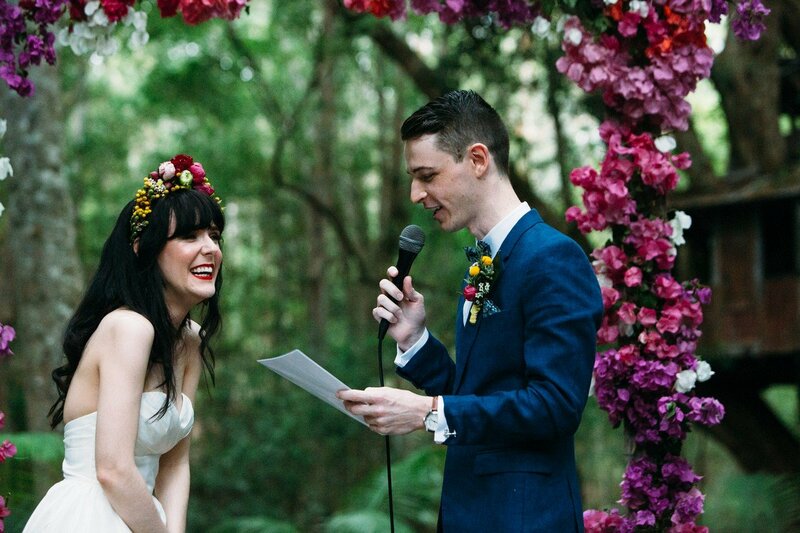 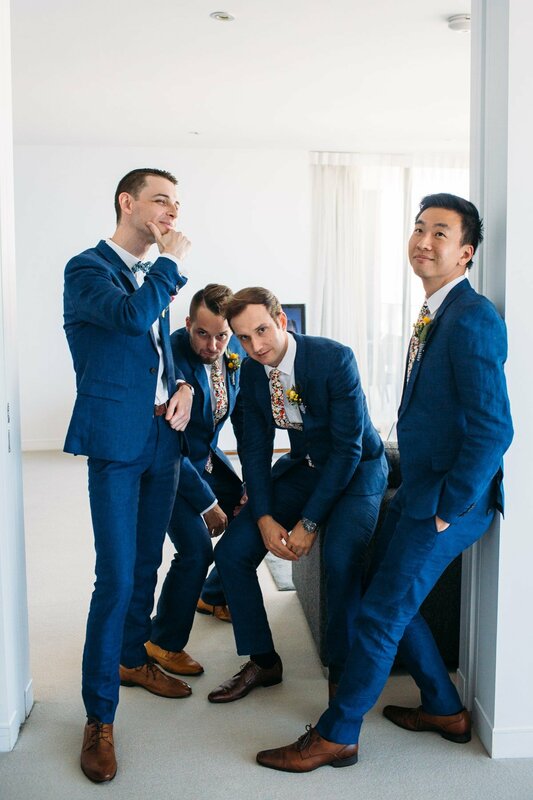 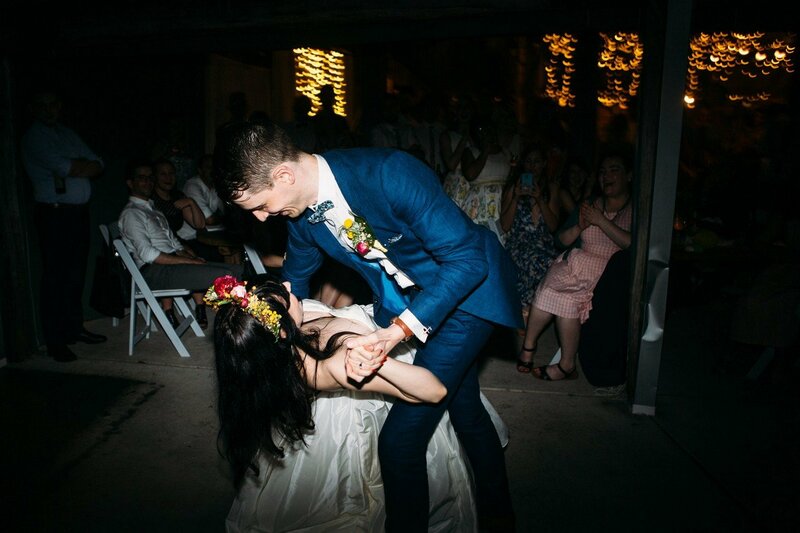 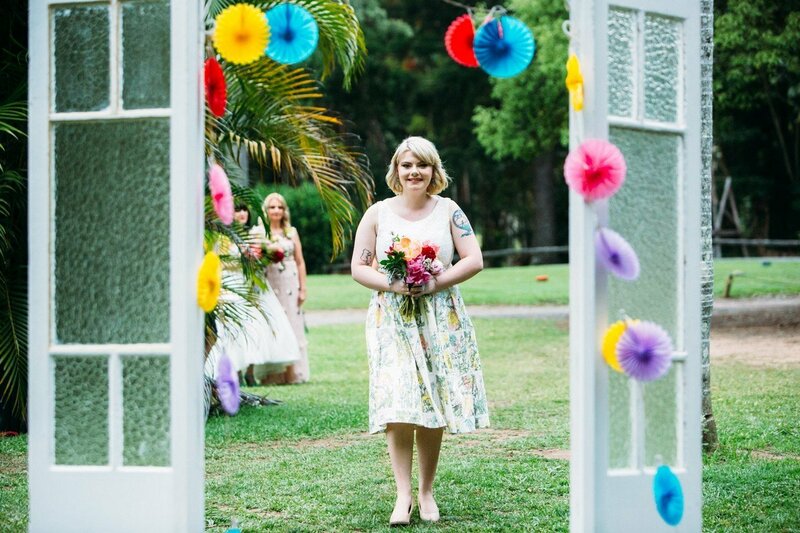 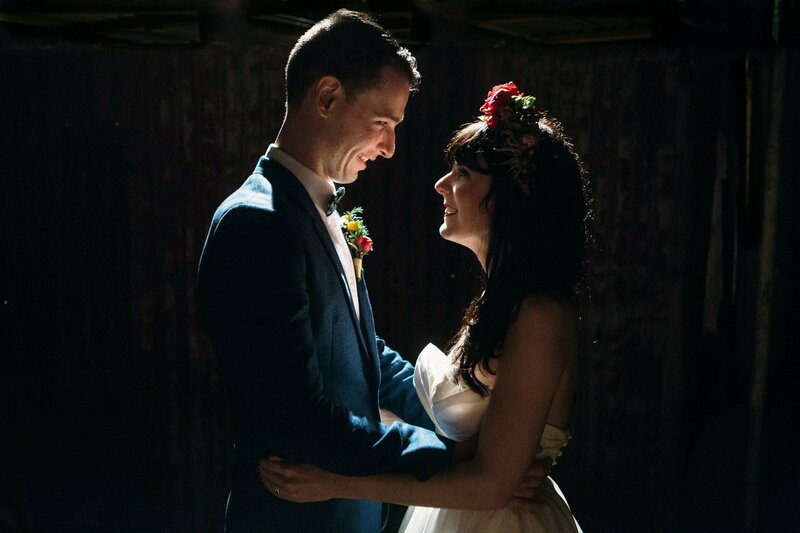 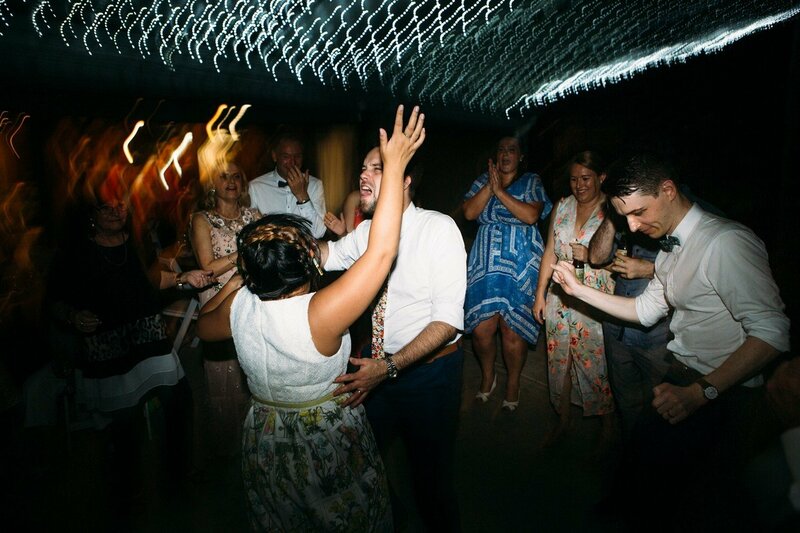 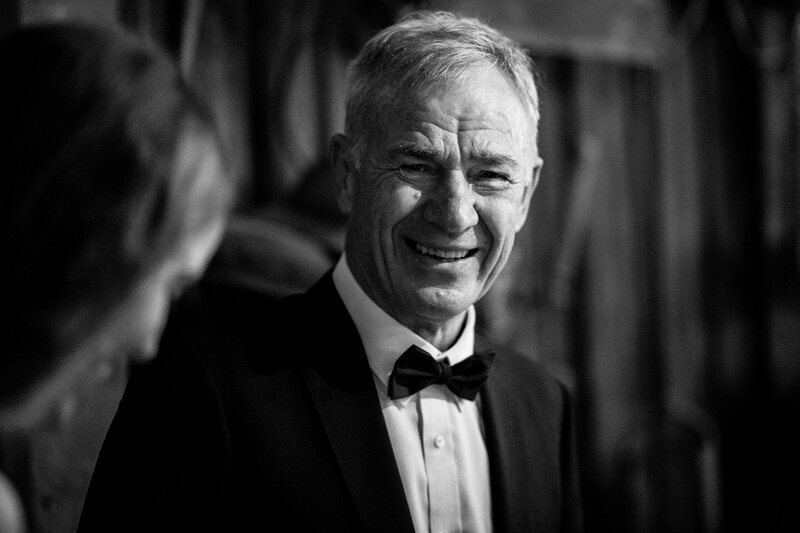 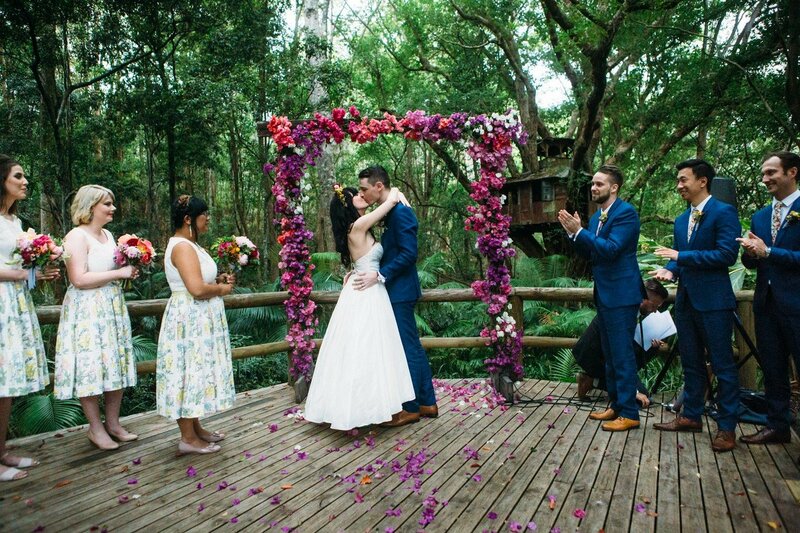 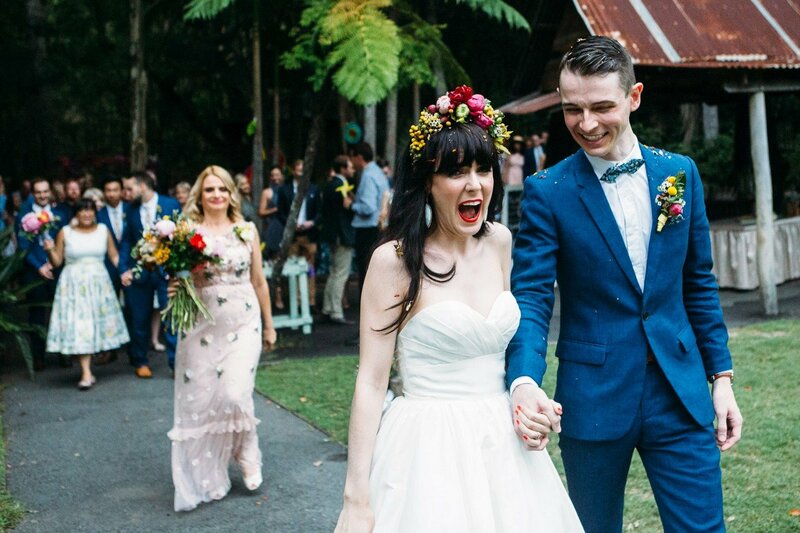 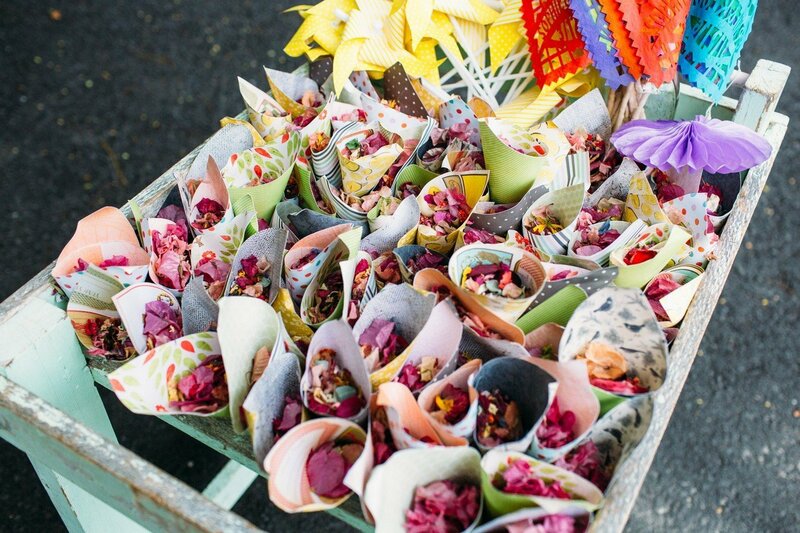 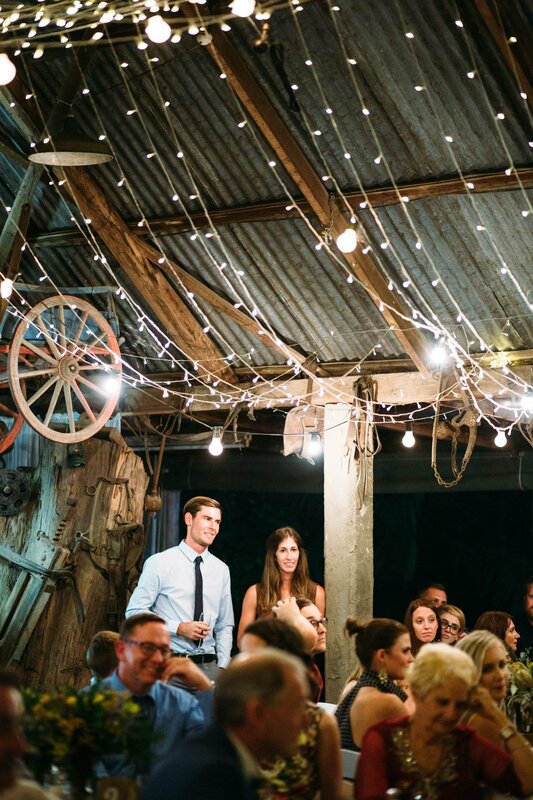 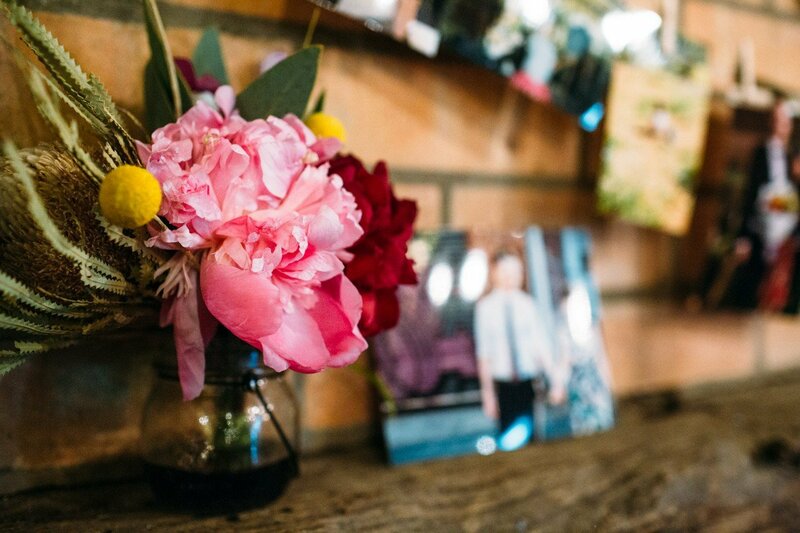 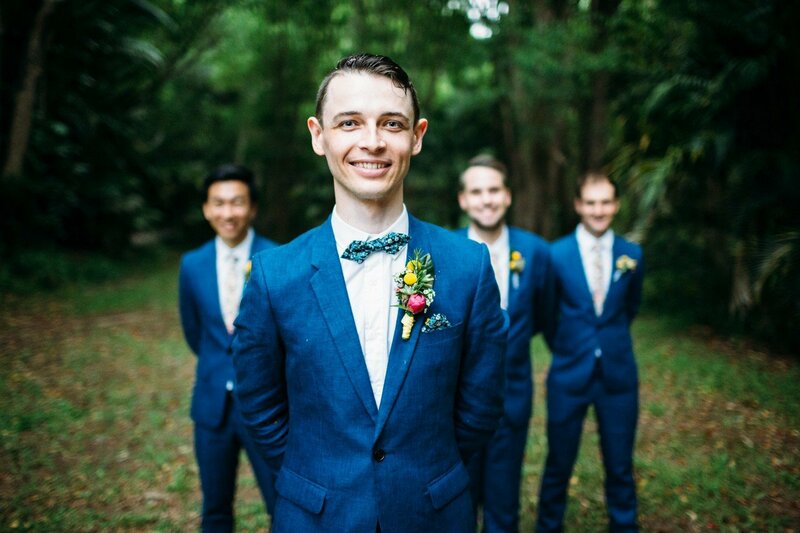 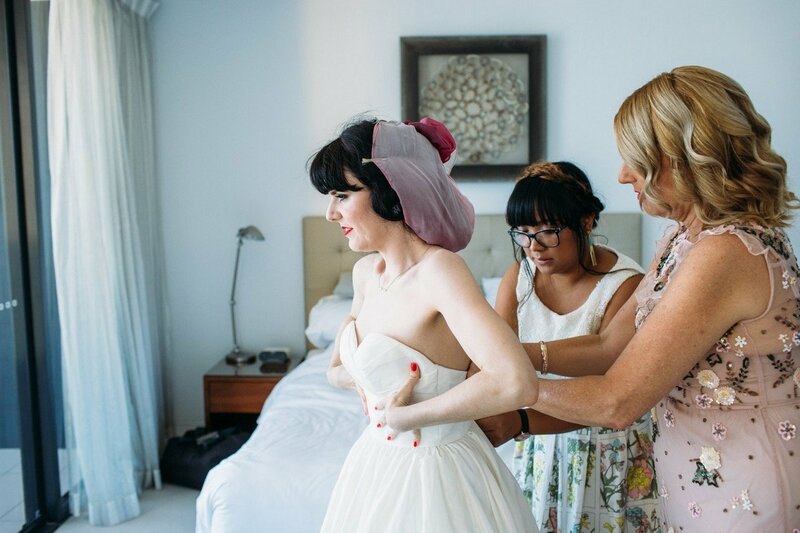 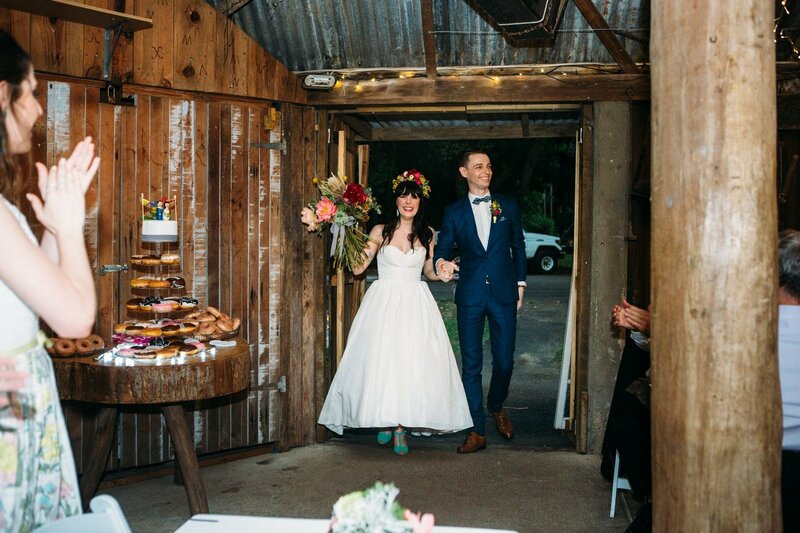 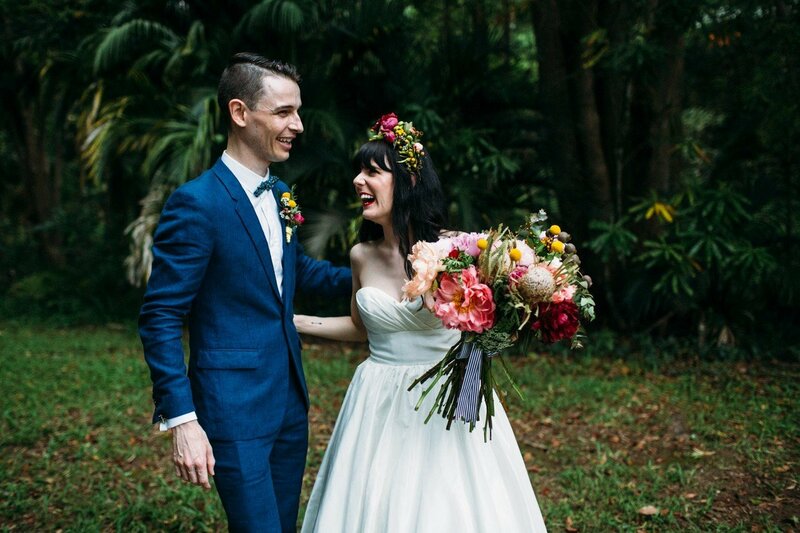 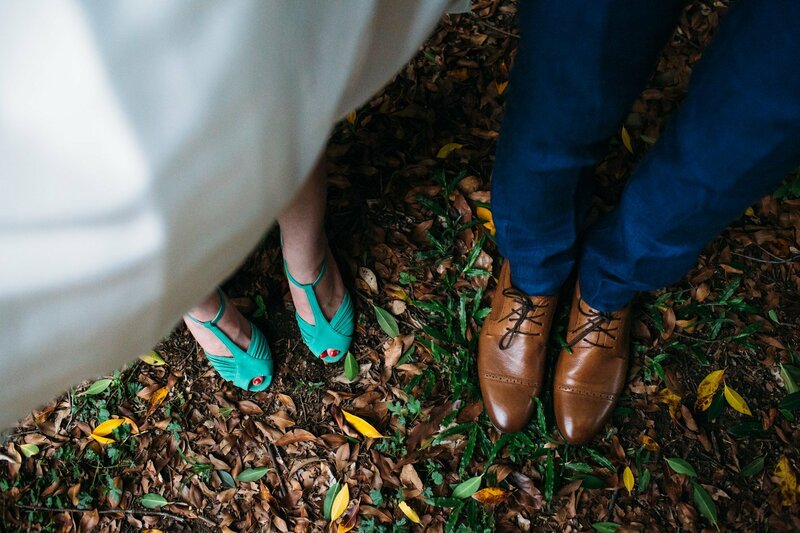 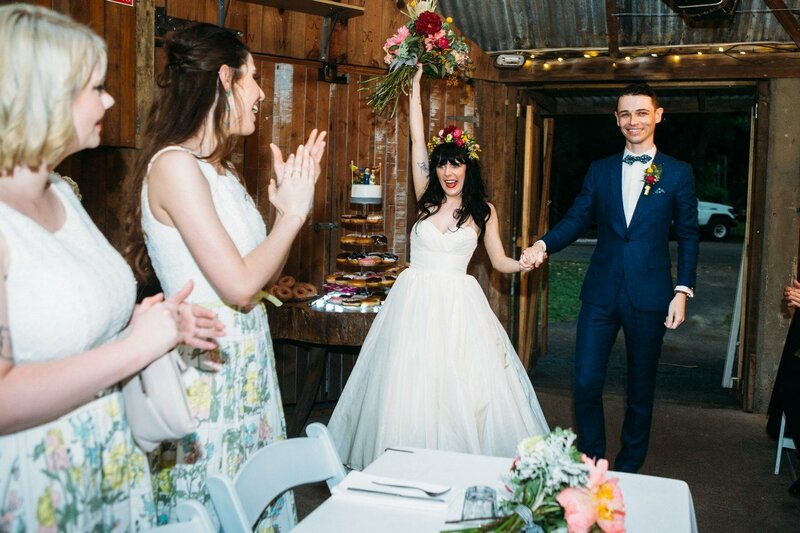 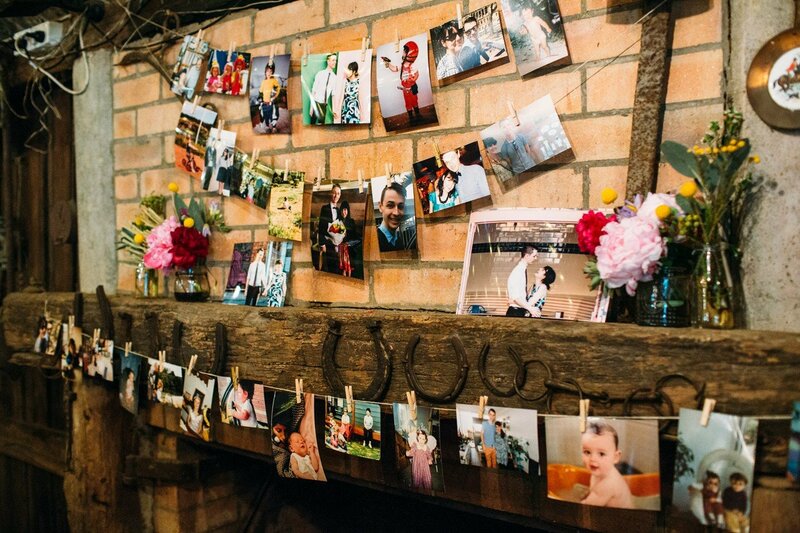 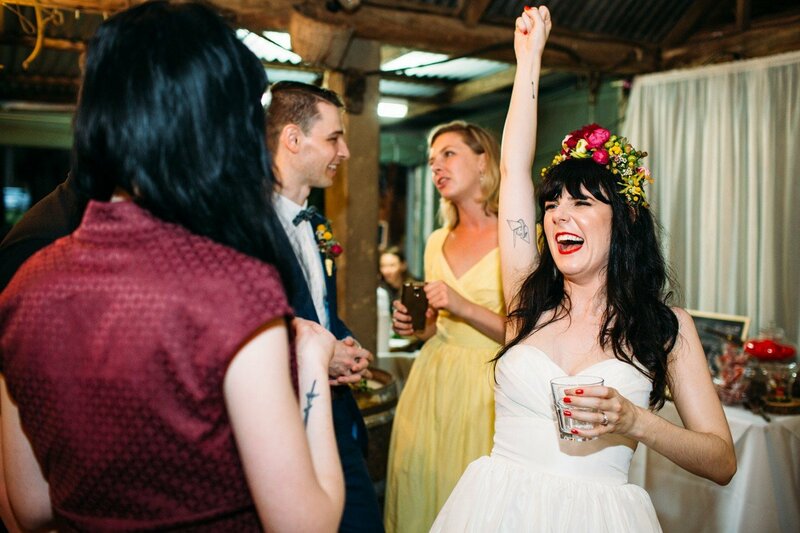 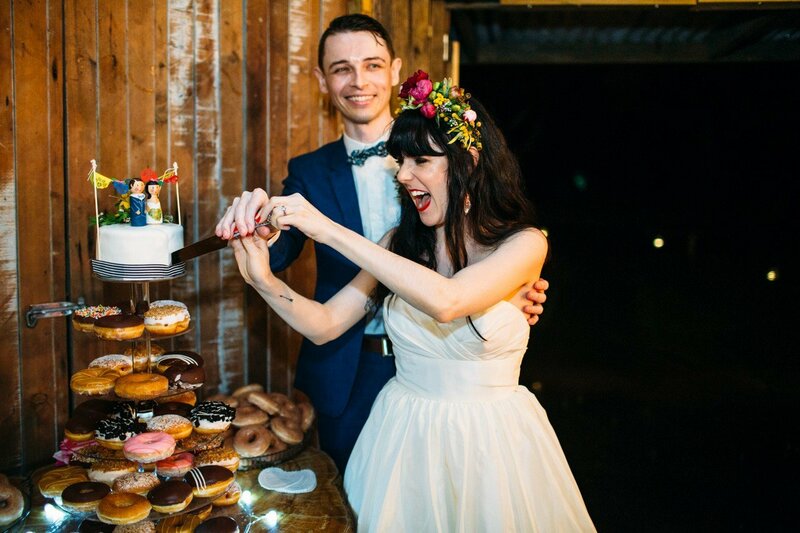 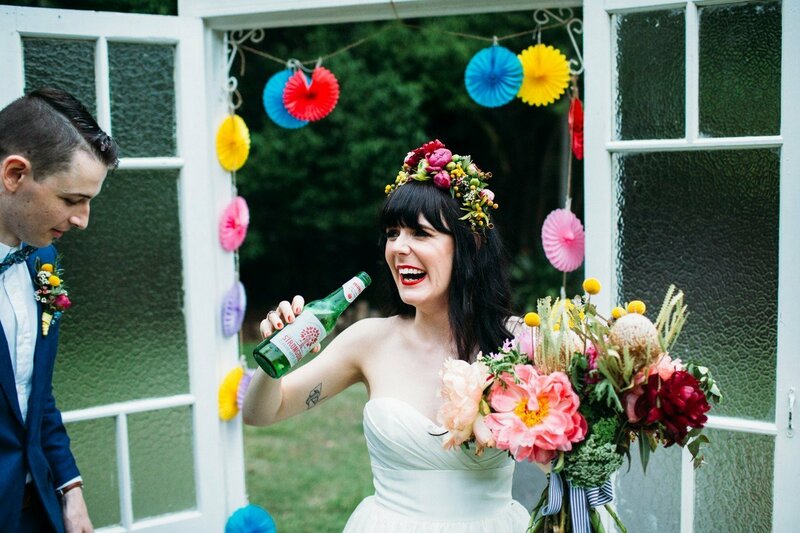 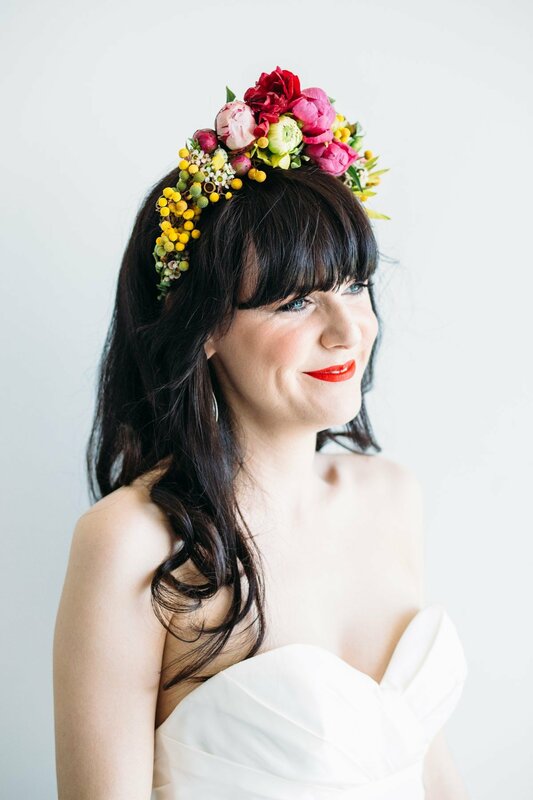 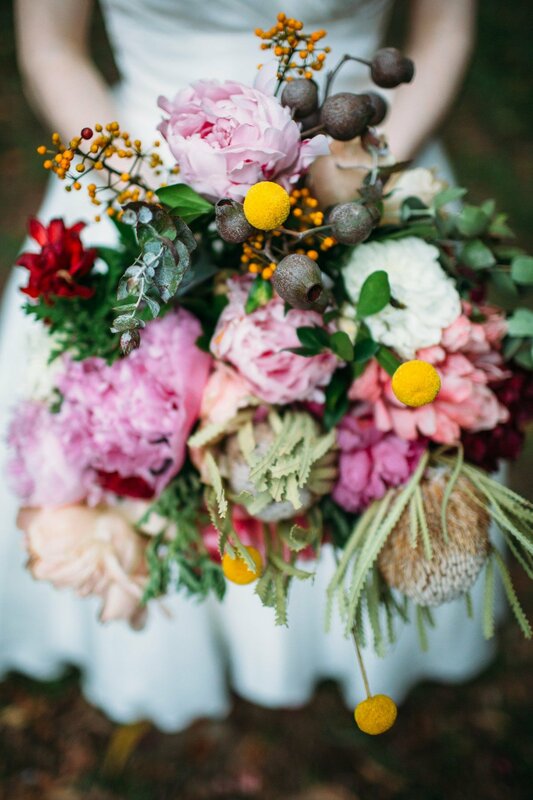 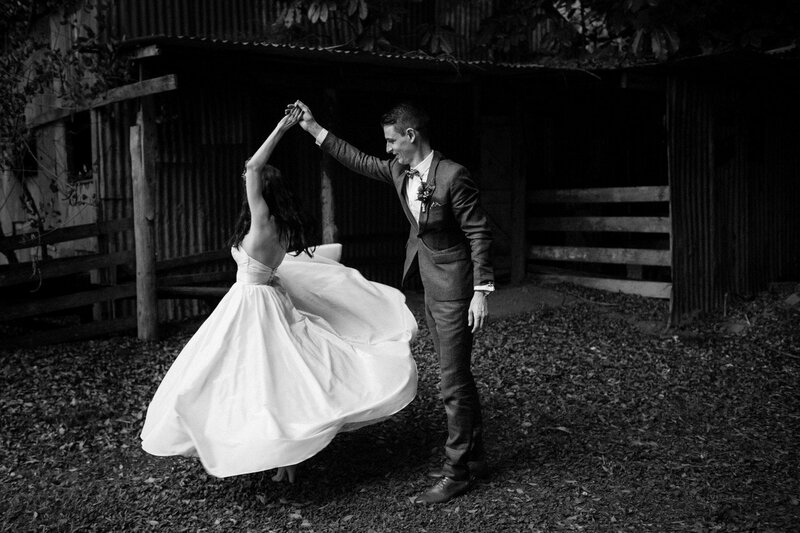 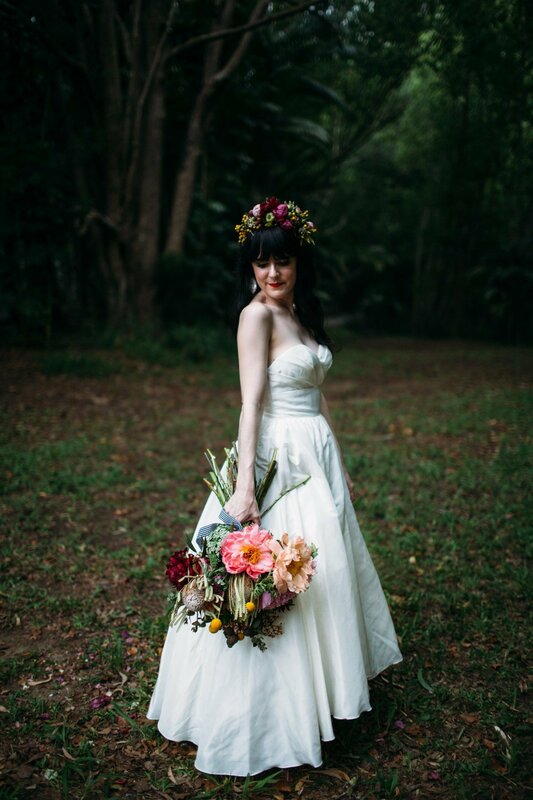 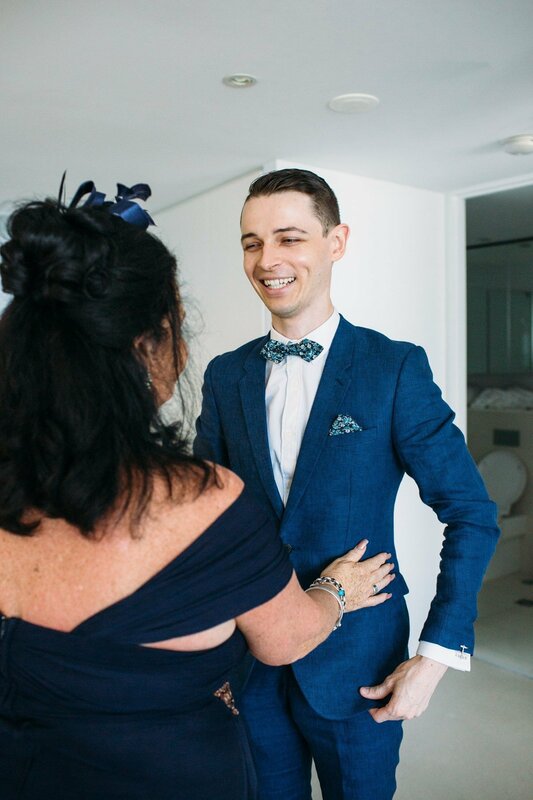 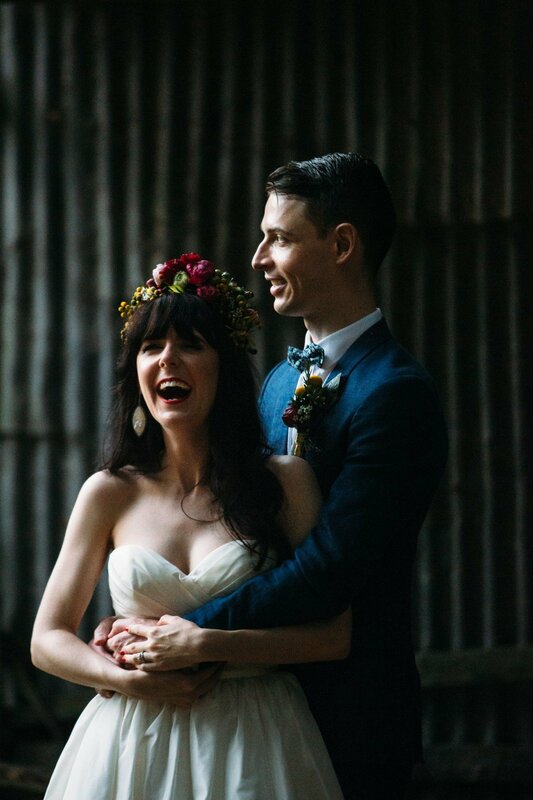 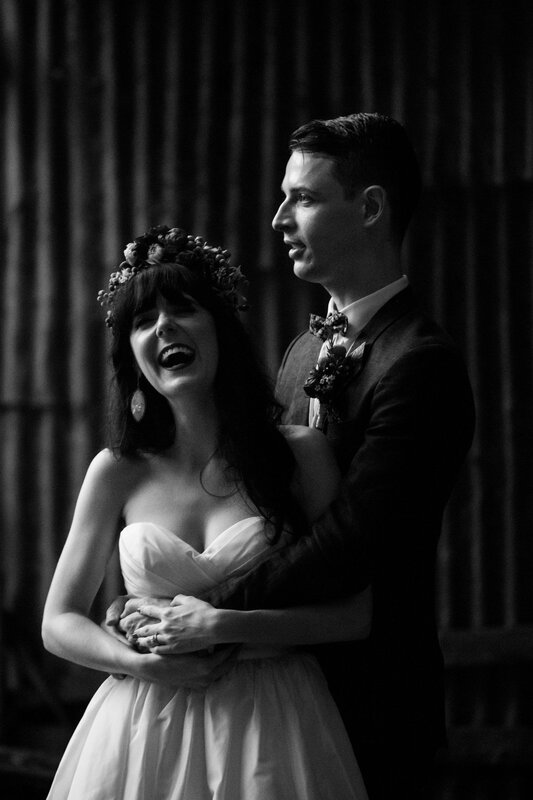 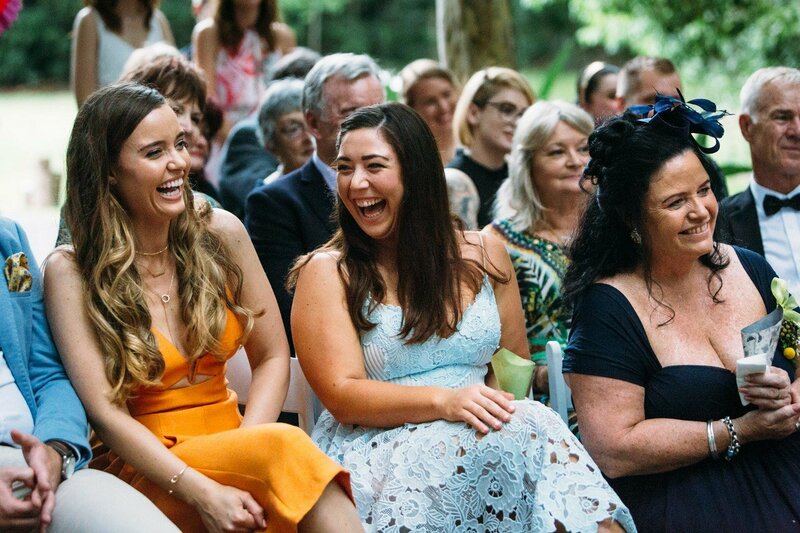 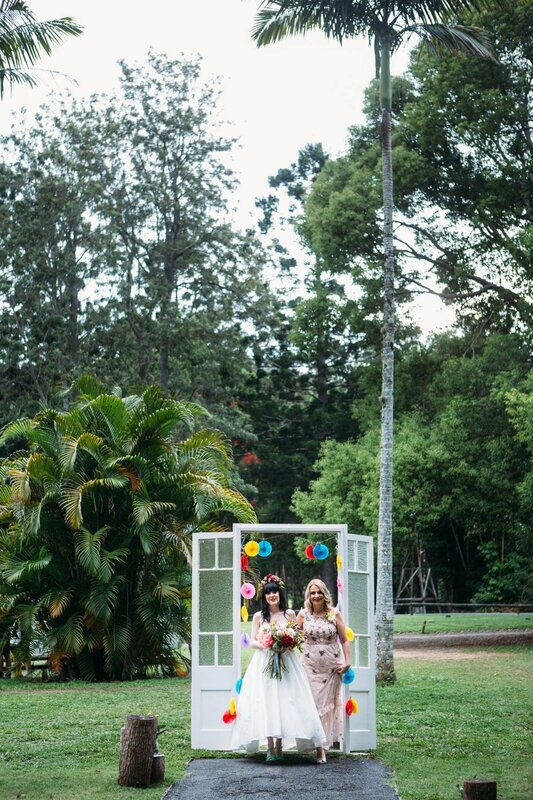 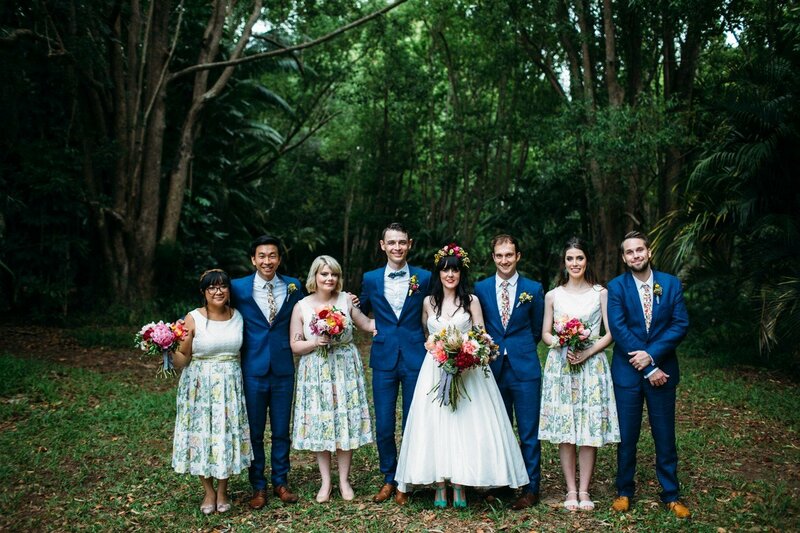 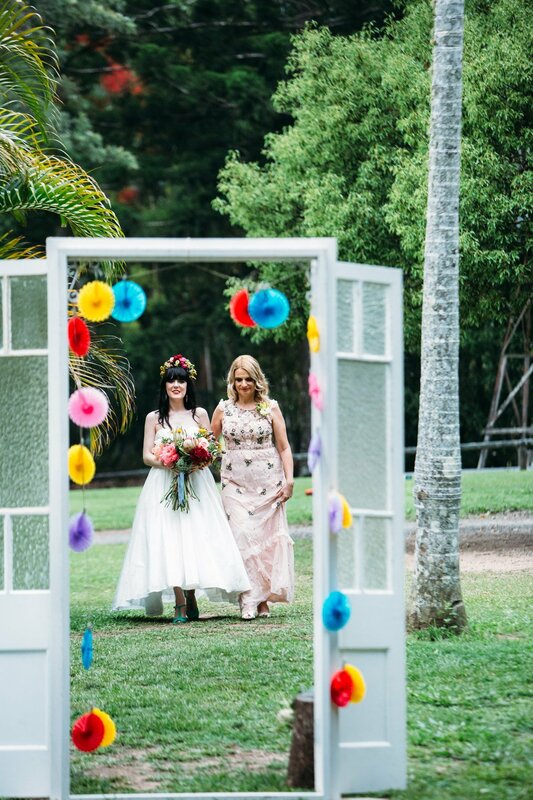 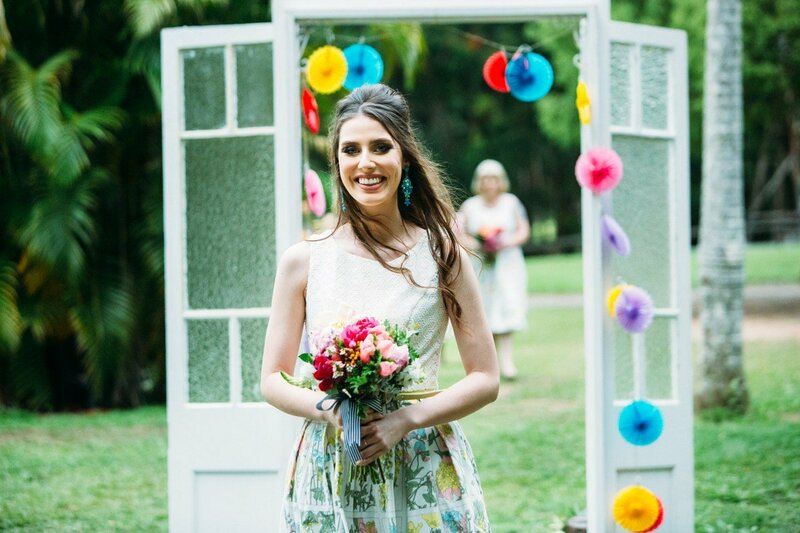 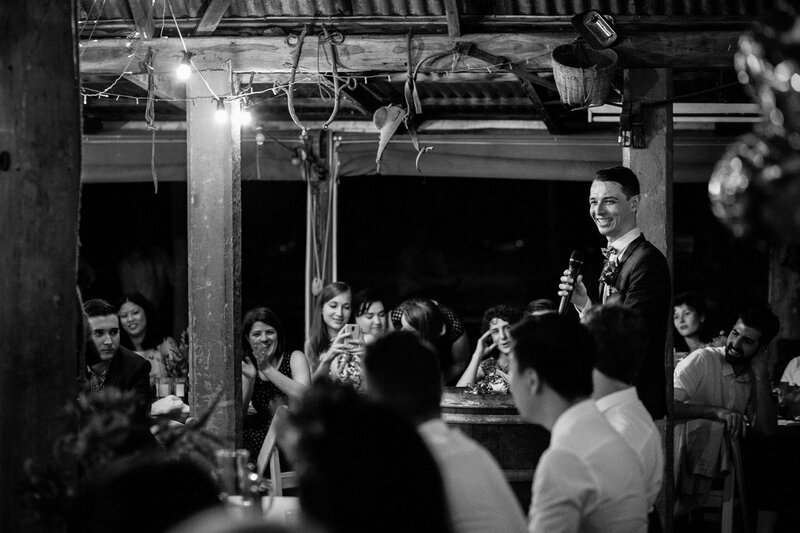 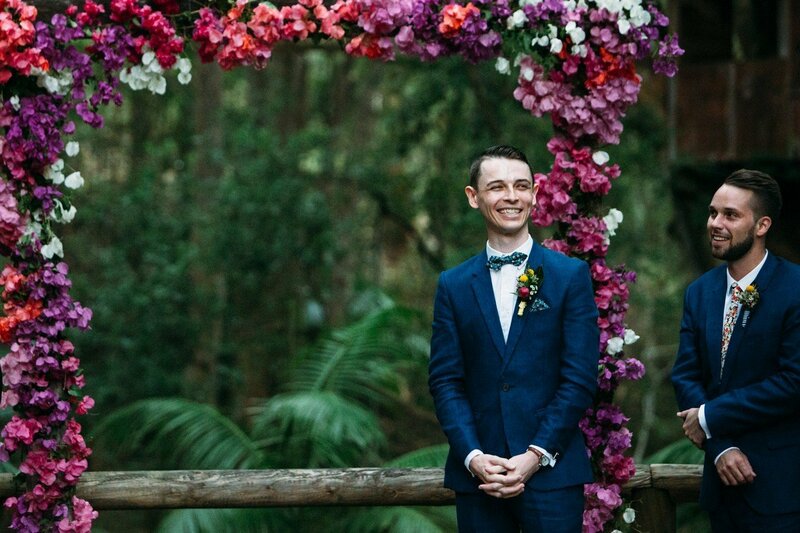 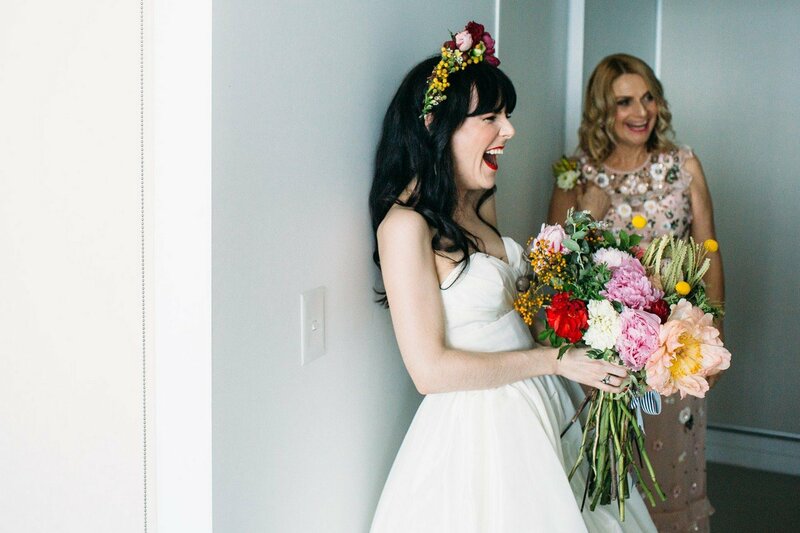 Sophie & Reuben’s Boomerang Farm wedding was so full of colour, emotion and love! 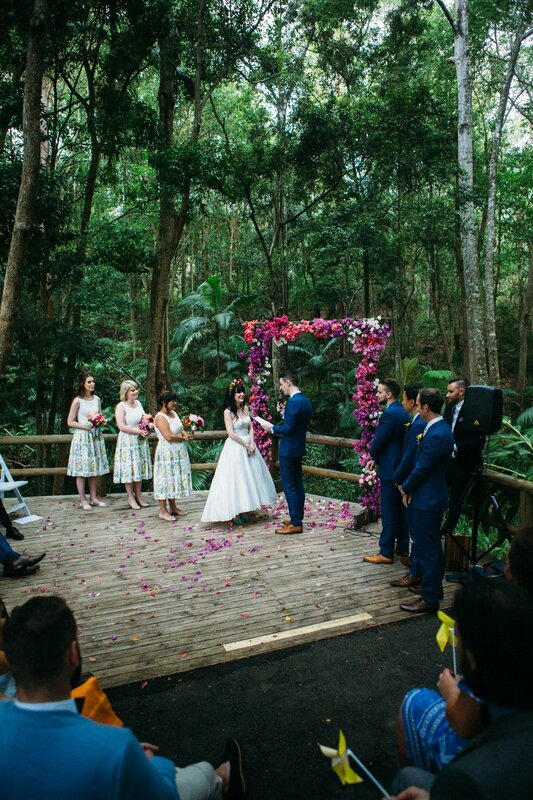 The day started off with the most perfect summer weather you could imagine but of course as the afternoon started to roll around those famous Queensland storms announced that they wanted to play a part in the day too. 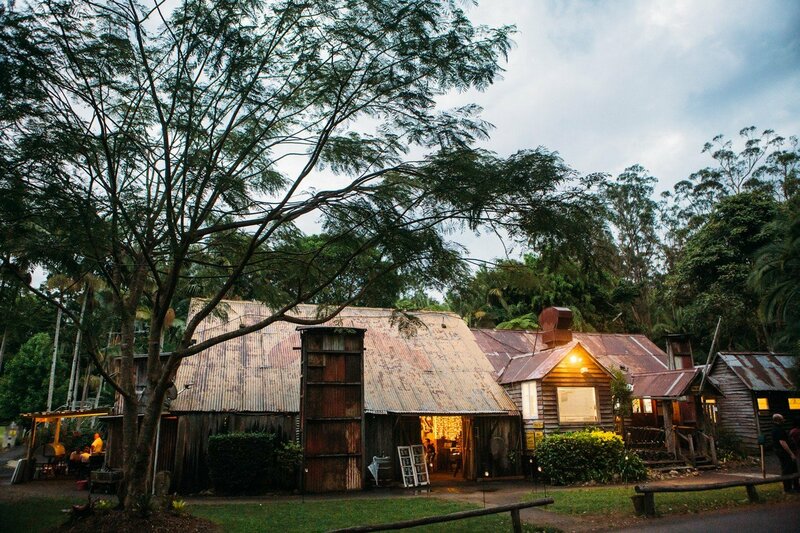 Nerves were on edge when I arrived at Boomerang Farm. 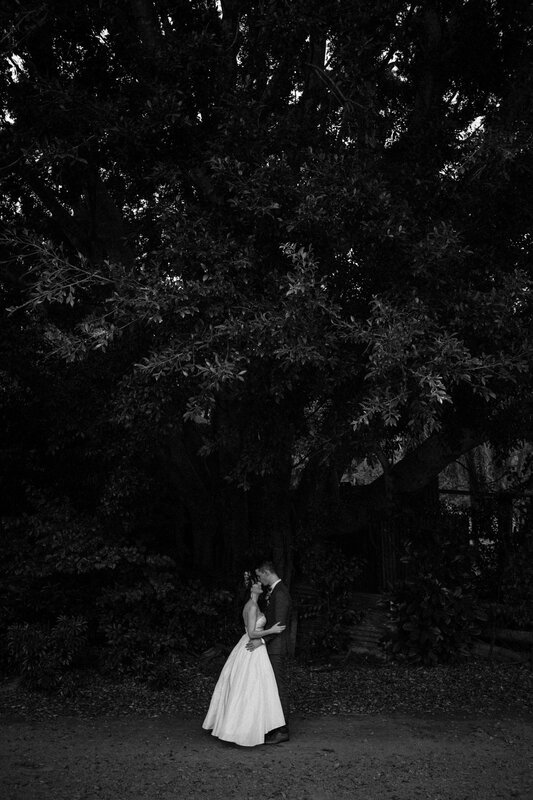 Luckily, by some miracle the storm broke up at just the right time and the spot where we were getting ready was missed by the rain. 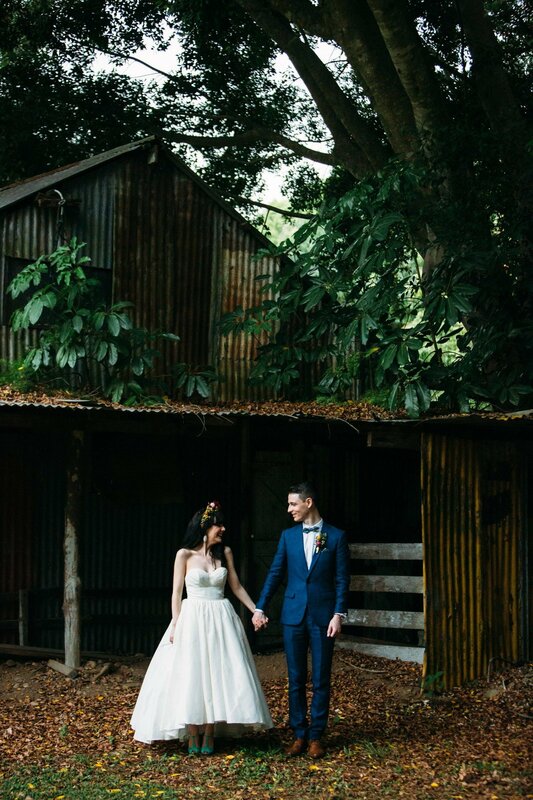 We actually ended up with the best of both worlds – some beautiful post-storm light AND no rain! 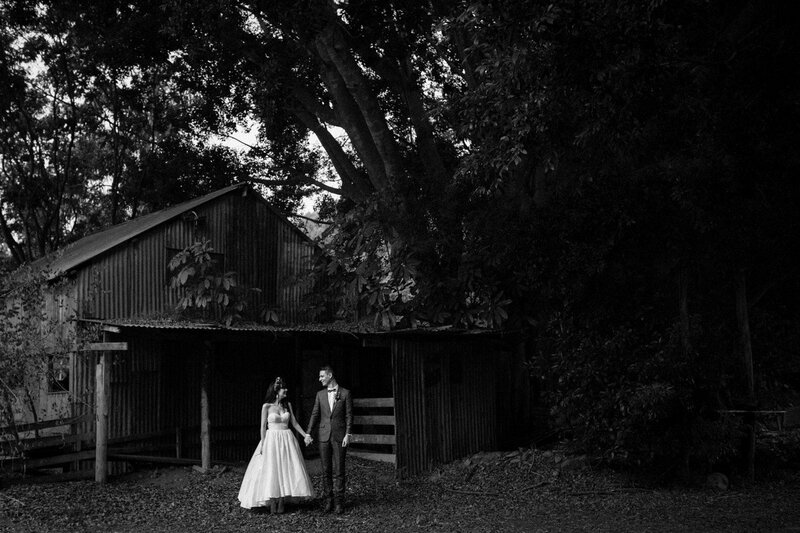 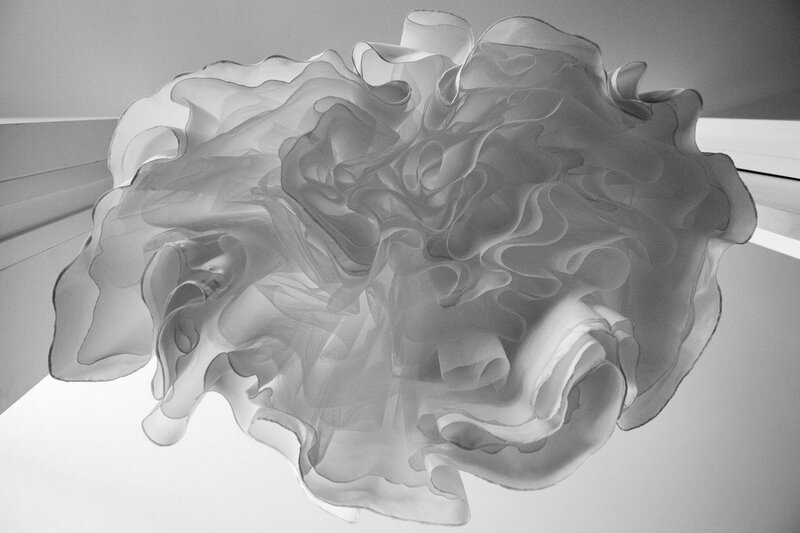 Thank you Universe for sending those clouds either side of us and setting up the conditions to make some gorgeous and unique portraits. 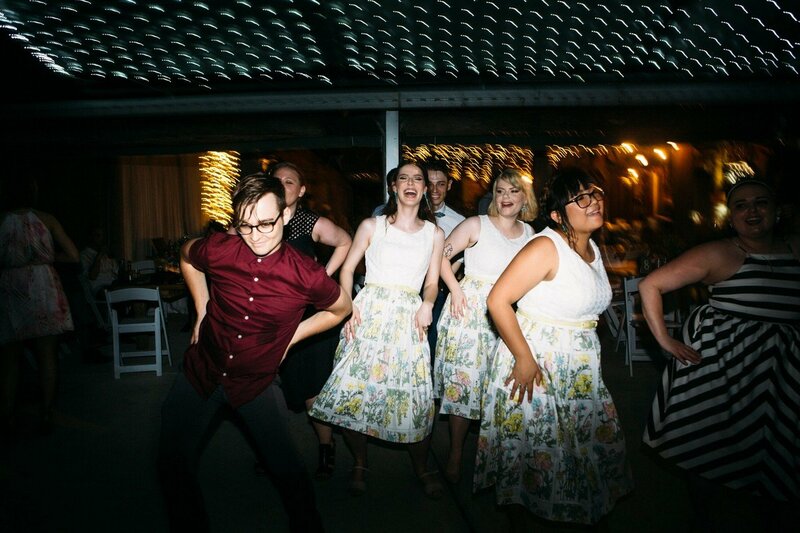 After a lovely meal and heartfelt speeches, some wicked dance moves closed out the night perfectly. 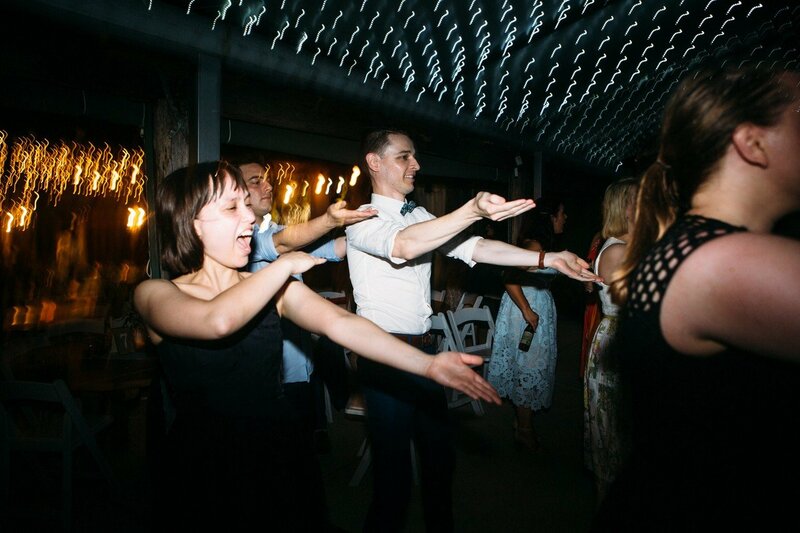 And ask anyone that was there, the Macarena was on point! 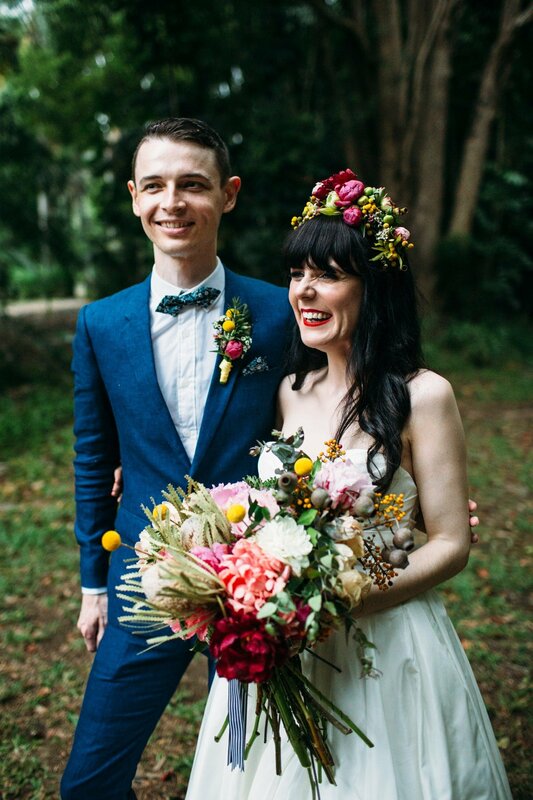 A huge thanks to Sophie & Reuben for having me play a part in their day – it was an honour. 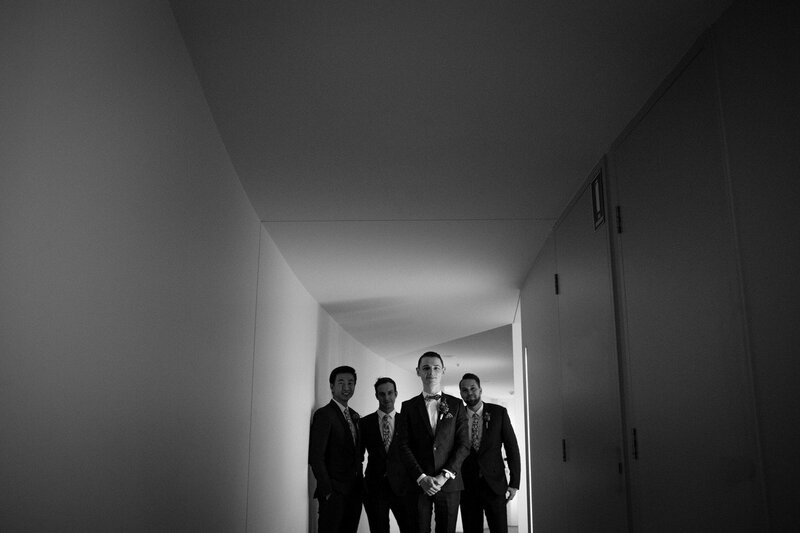 And the legend you're marrying is? 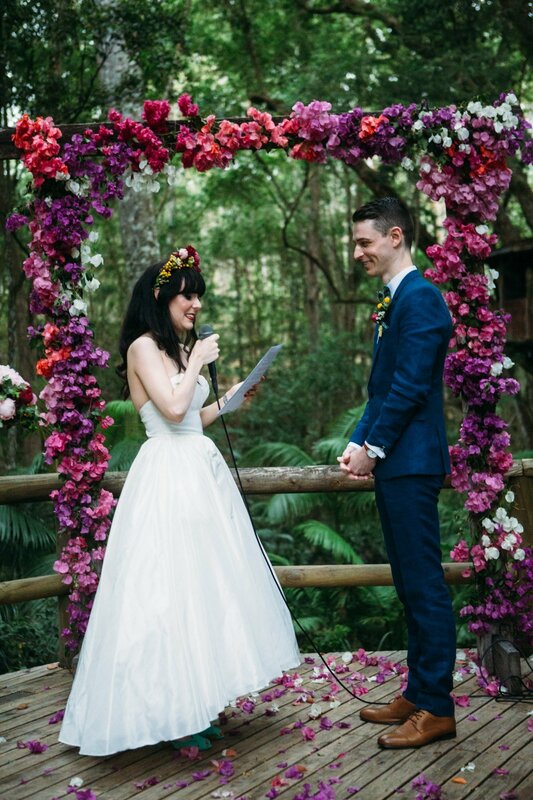 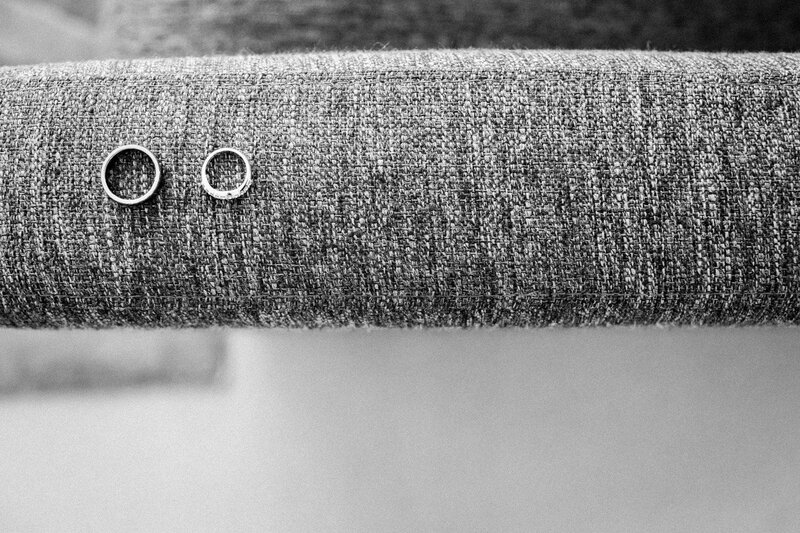 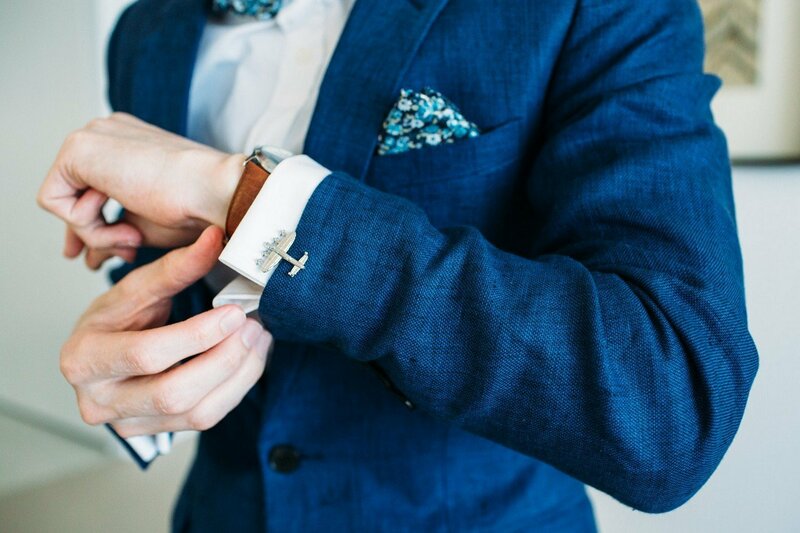 What date are you tying the knot? 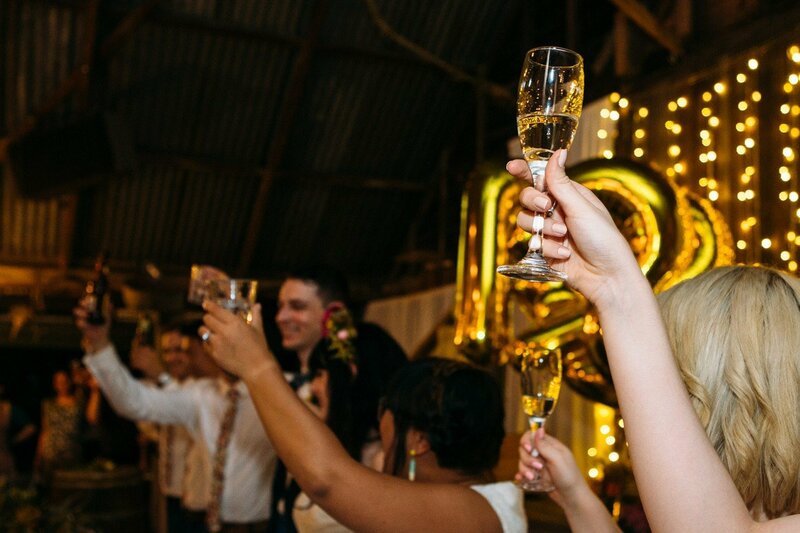 And where are the celebrations taking place? 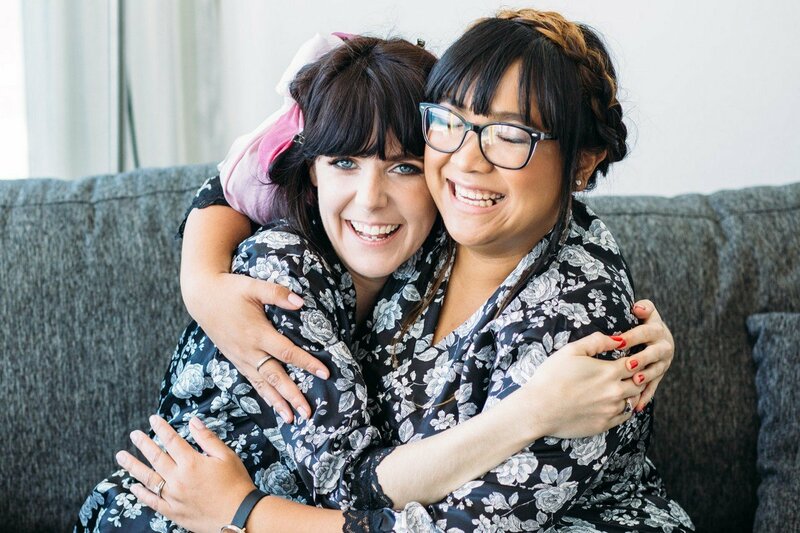 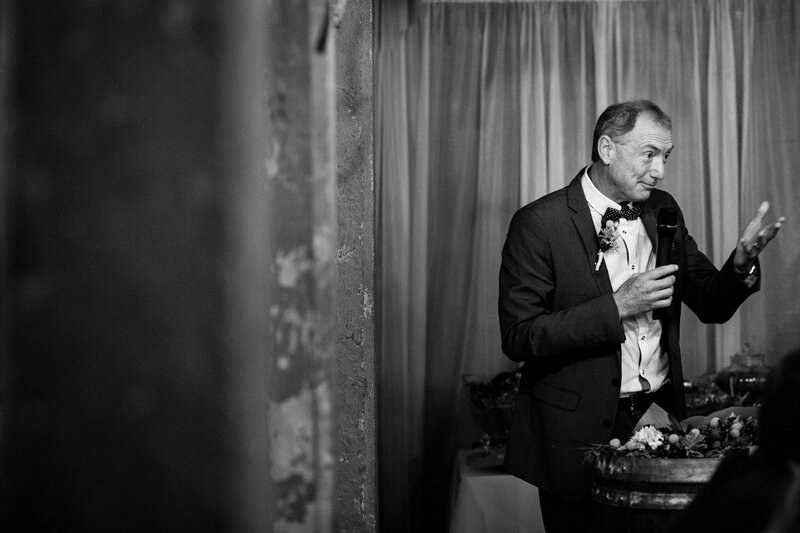 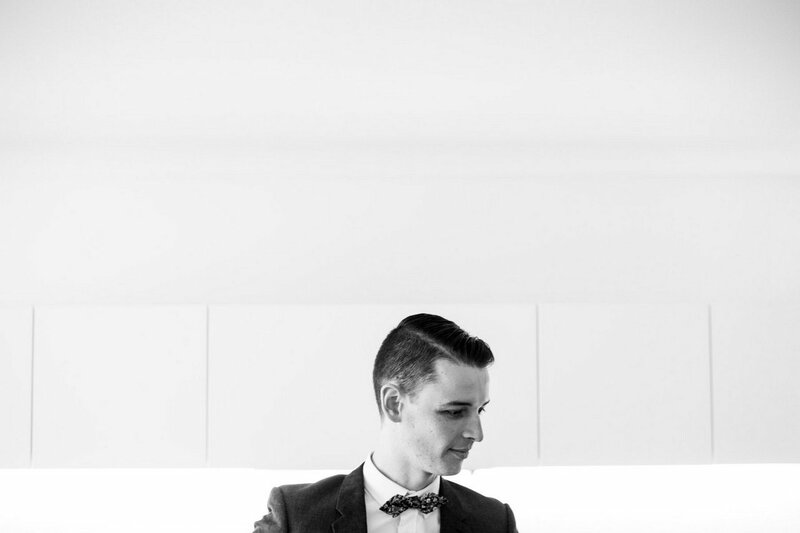 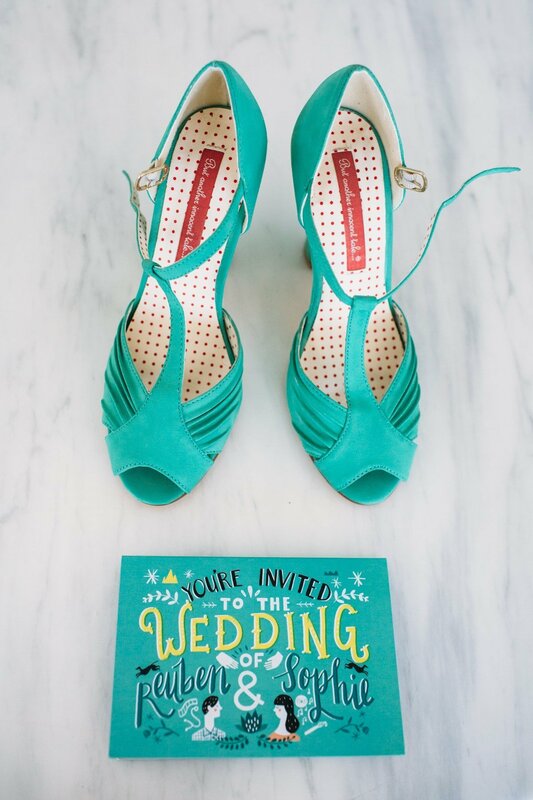 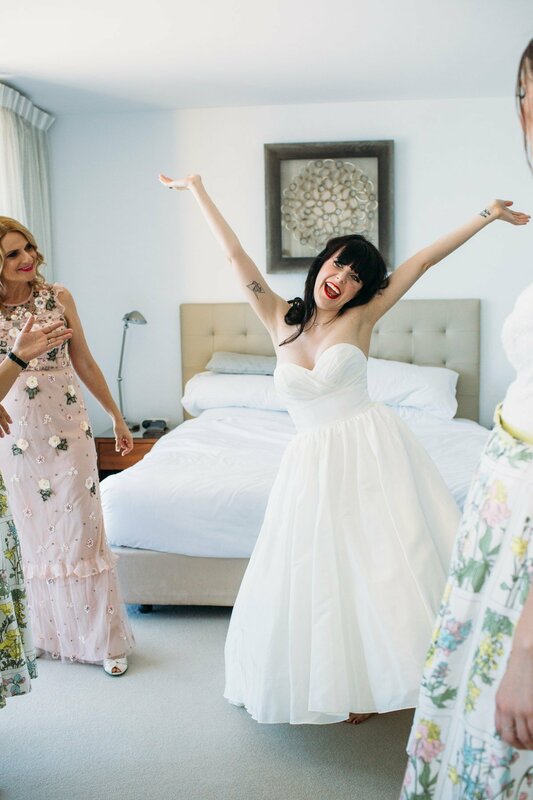 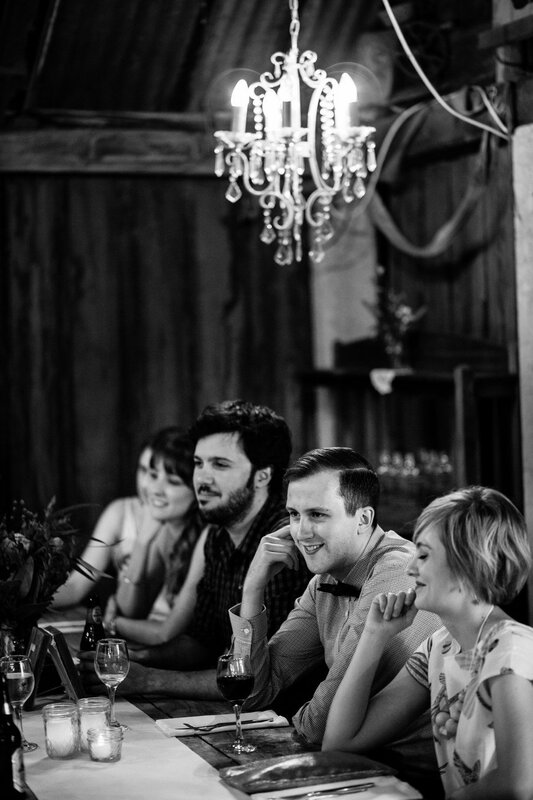 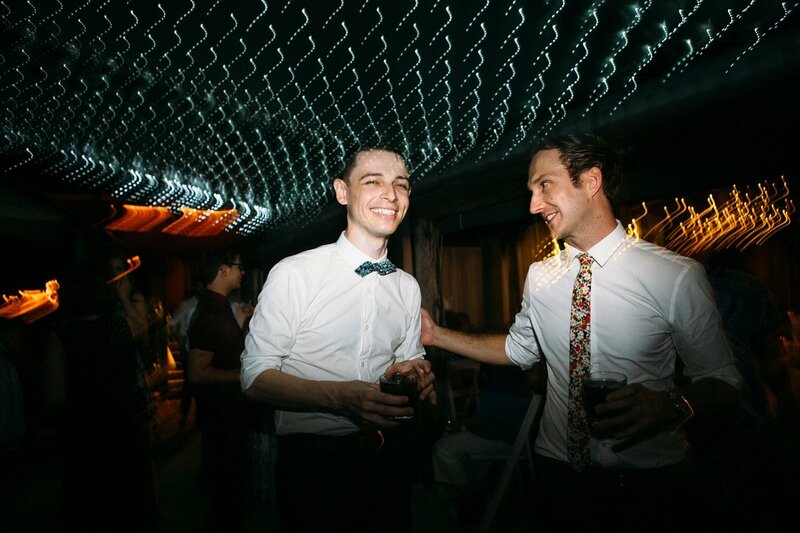 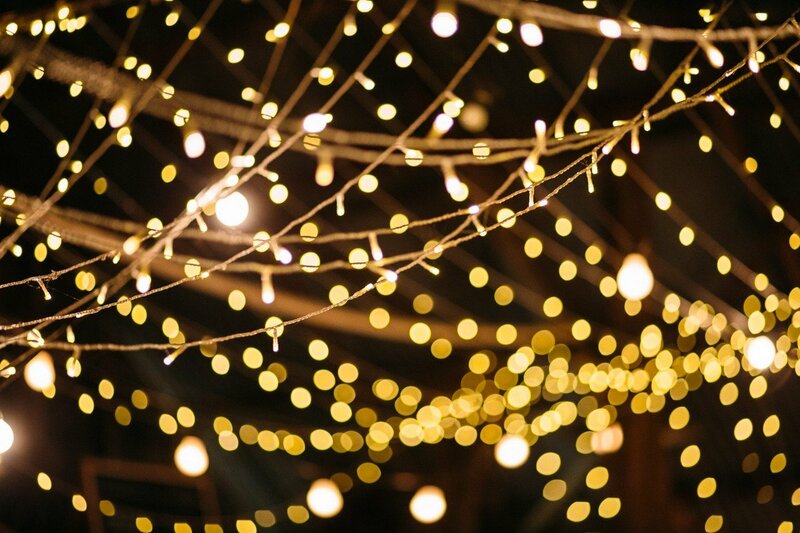 I'd love to get to know you and hear all about your wedding day! 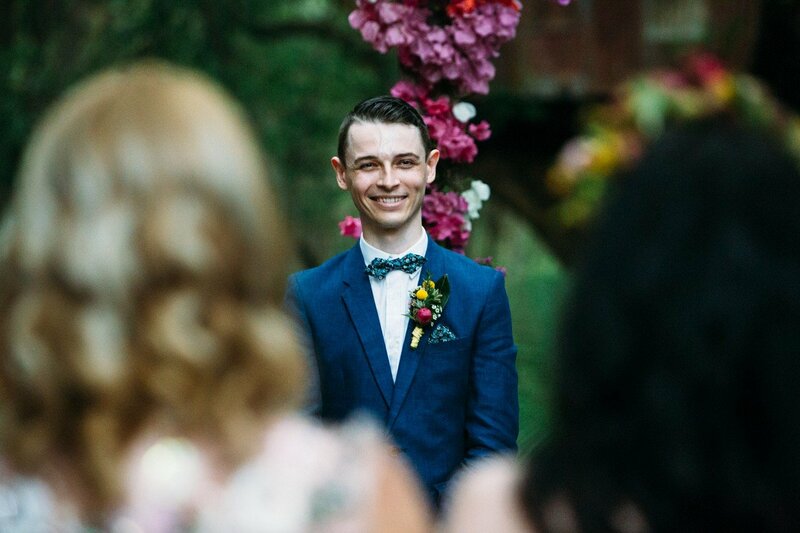 Finally, how did you find out about me?